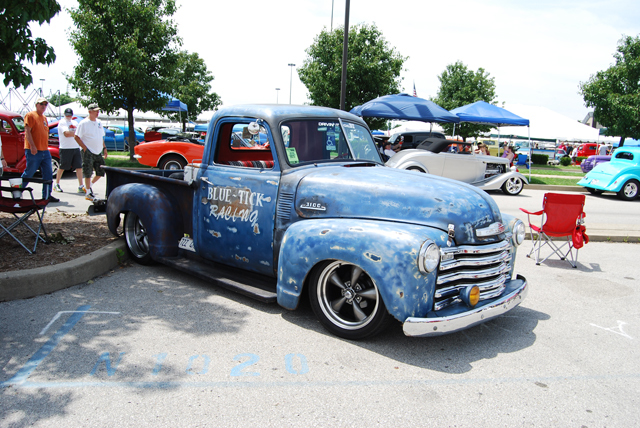 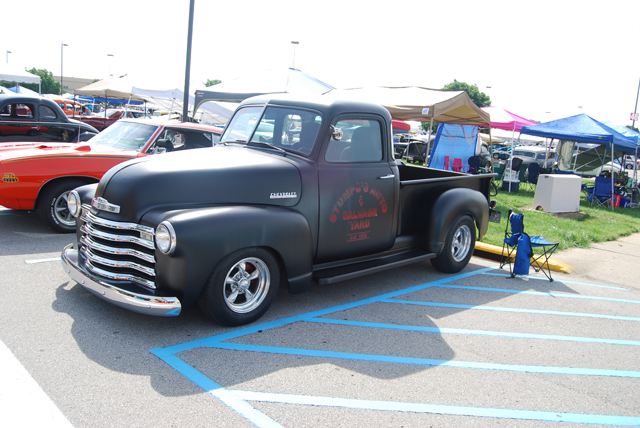 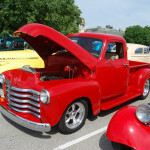 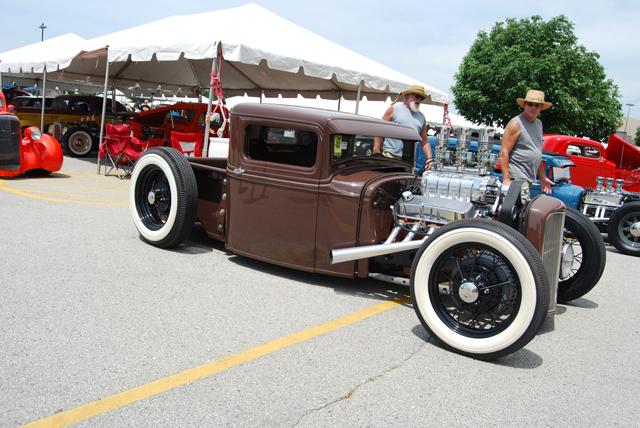 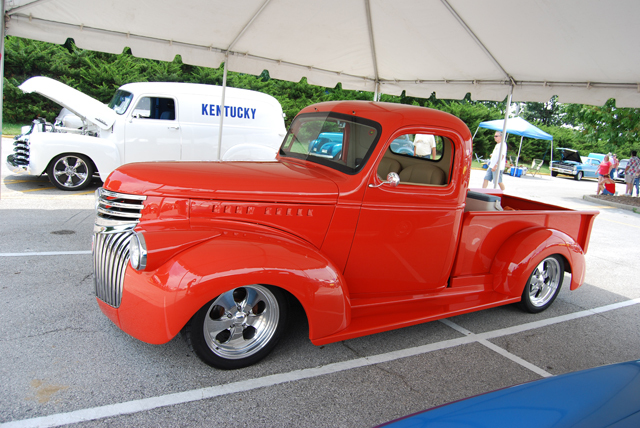 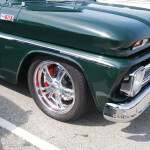 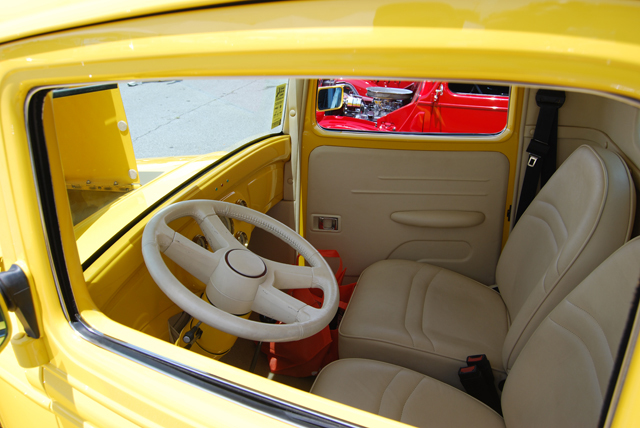 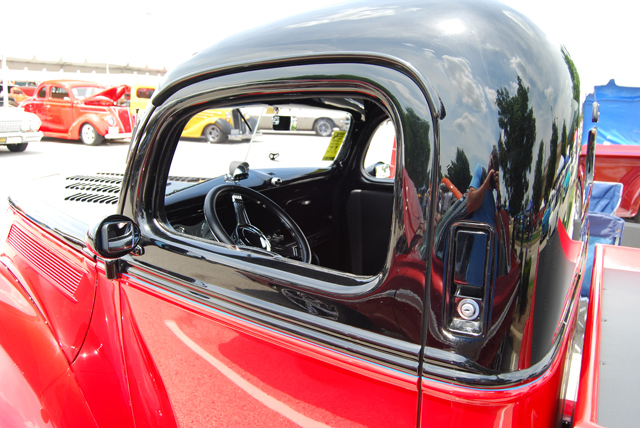 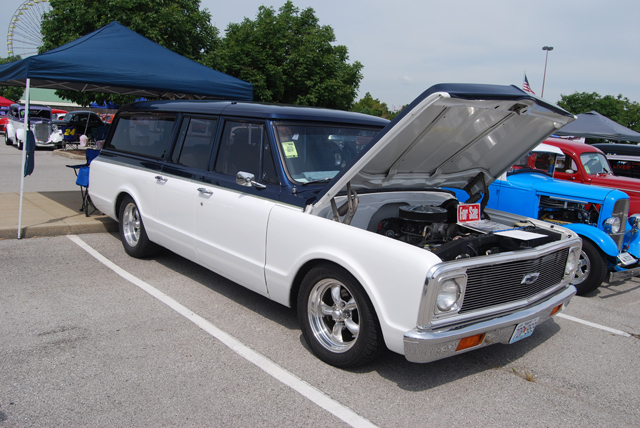 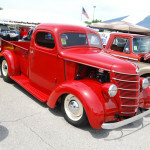 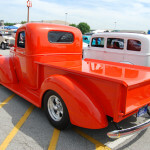 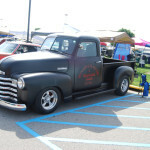 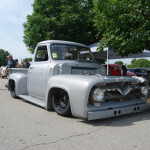 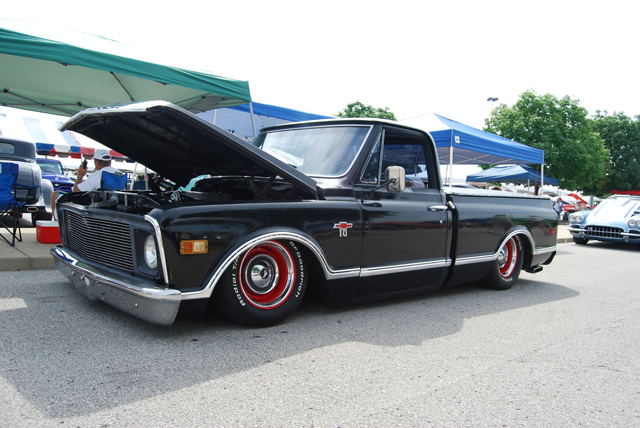 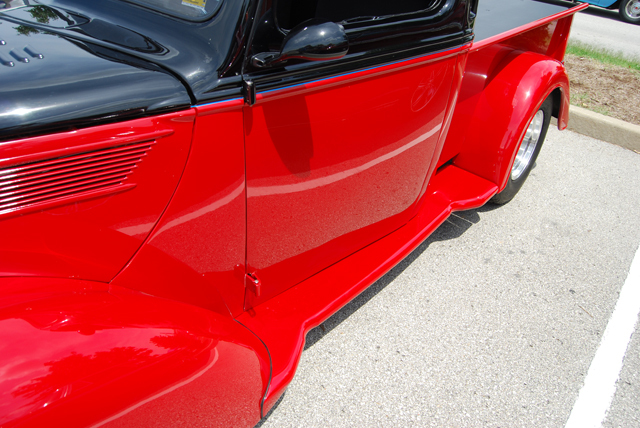 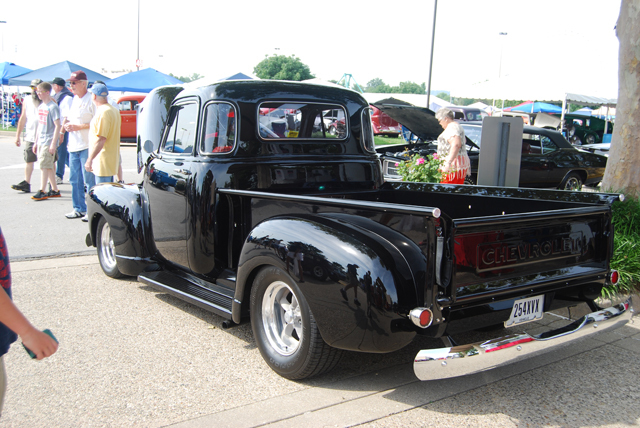 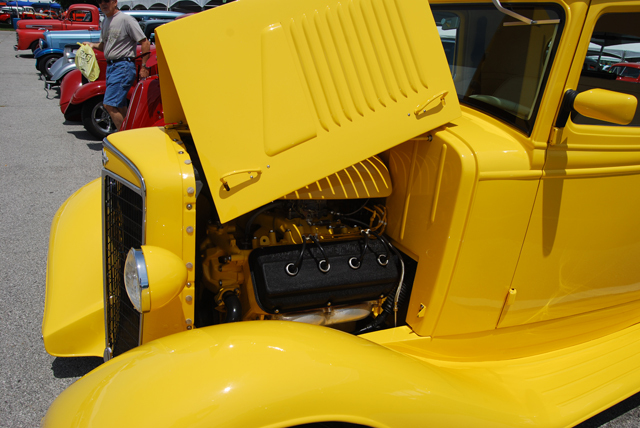 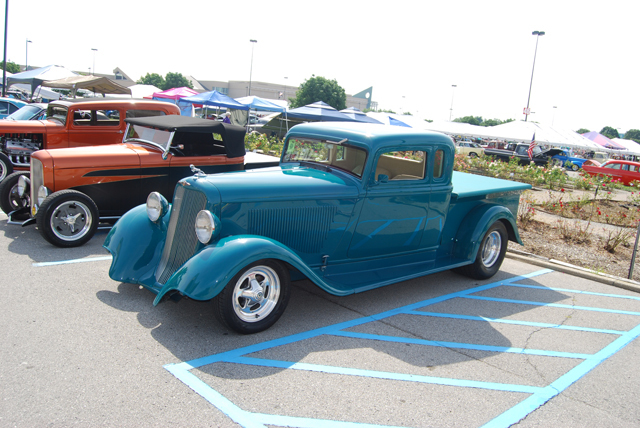 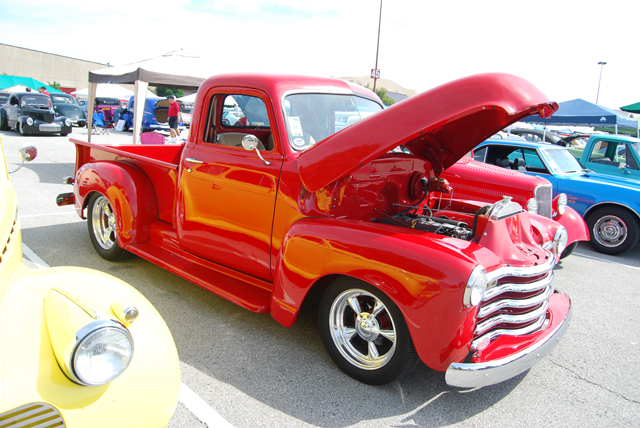 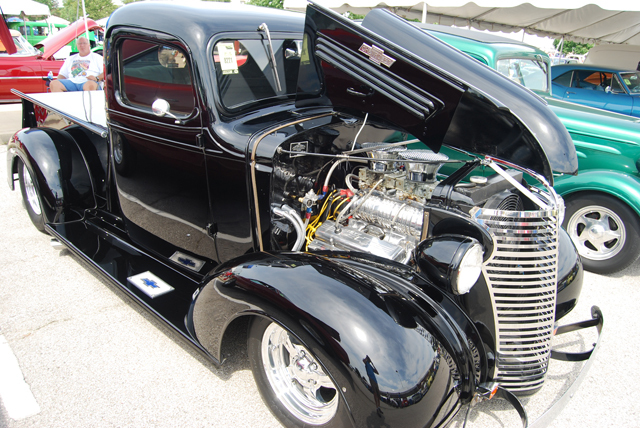 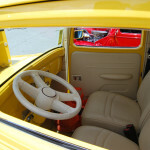 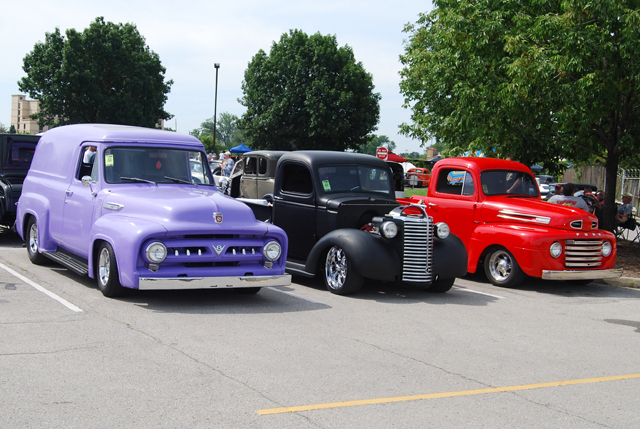 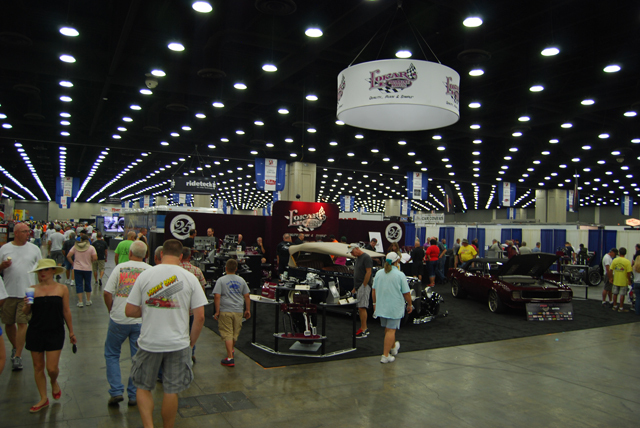 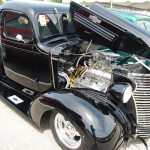 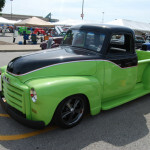 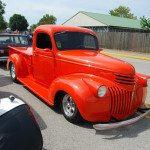 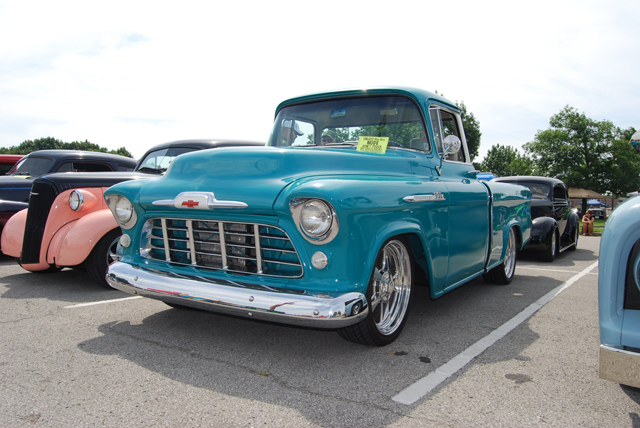 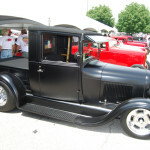 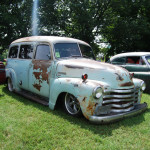 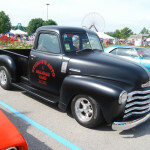 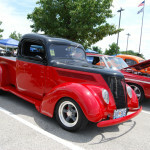 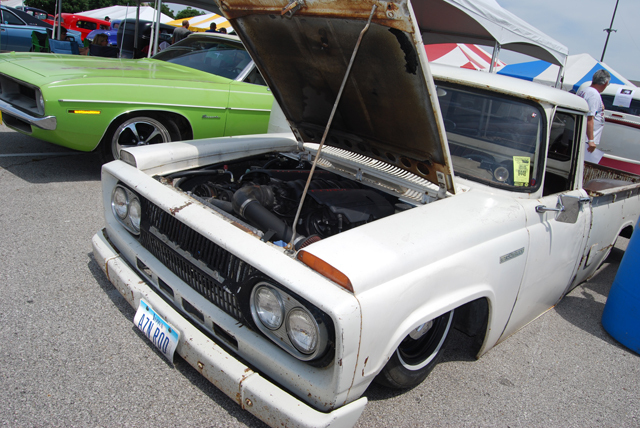 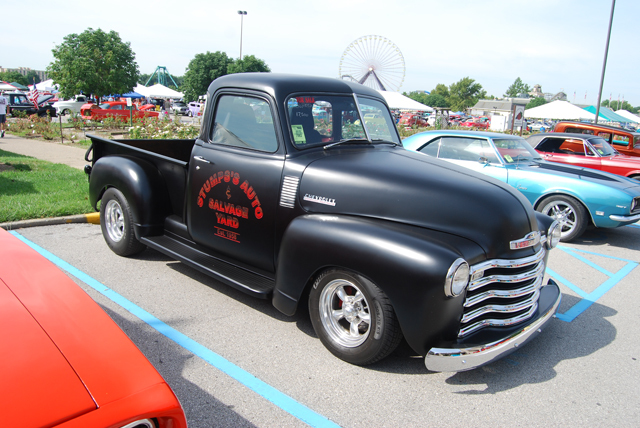 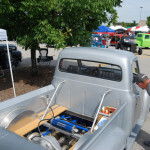 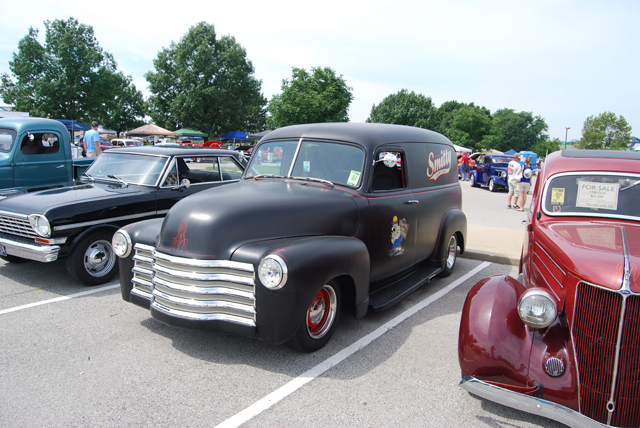 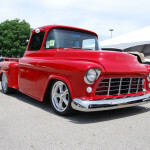 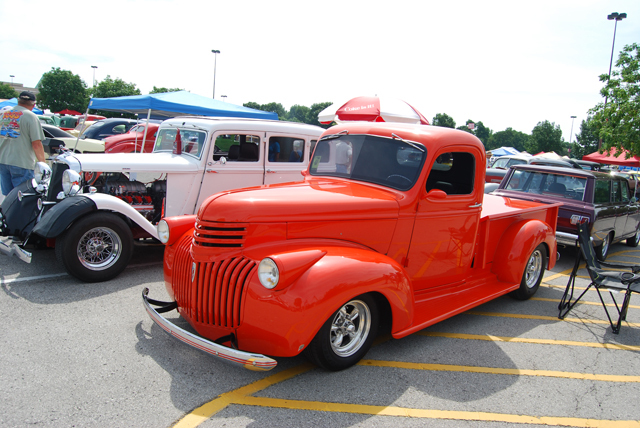 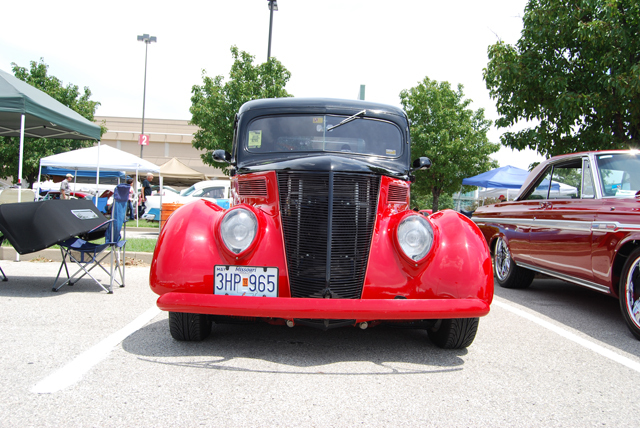 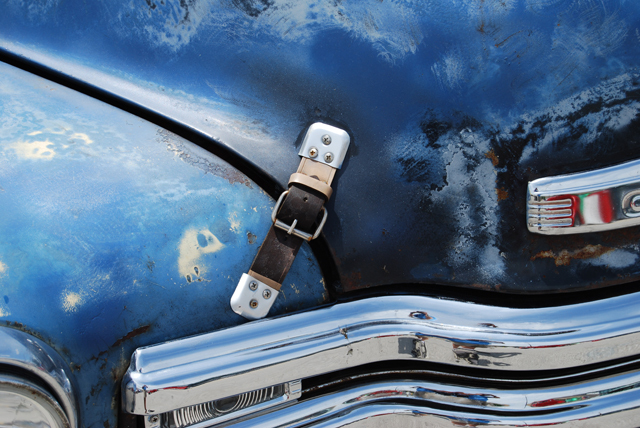 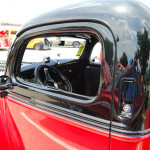 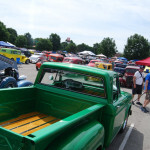 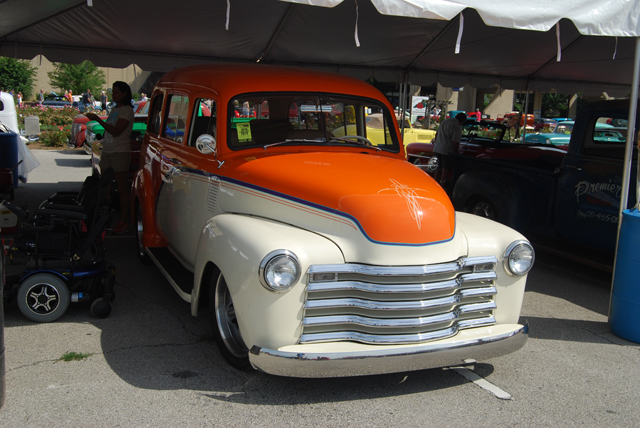 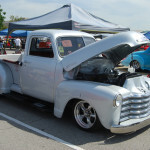 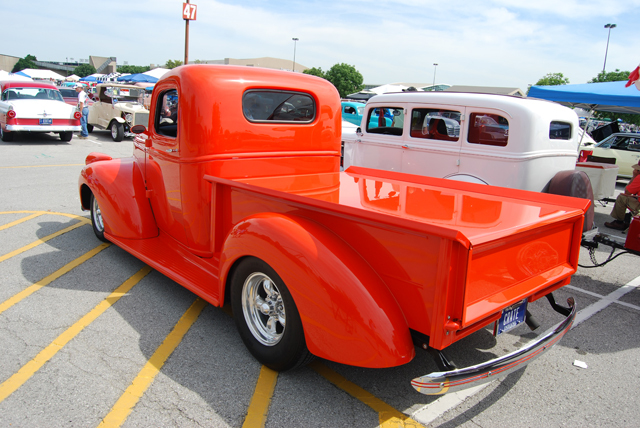 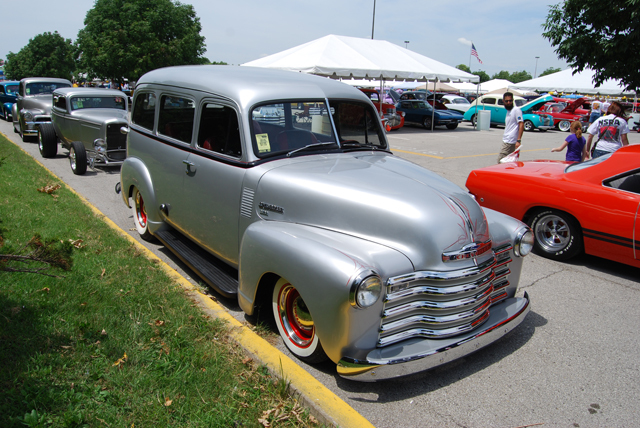 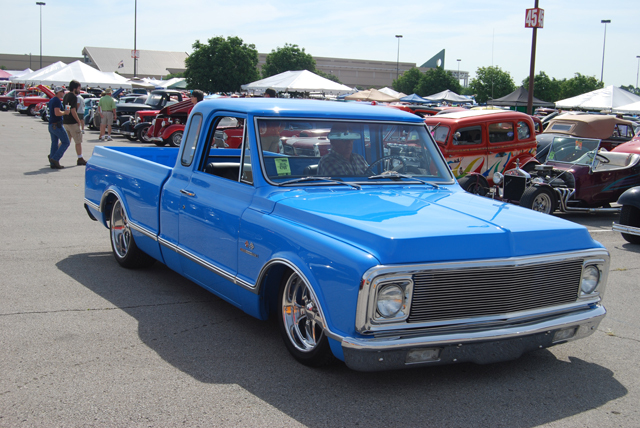 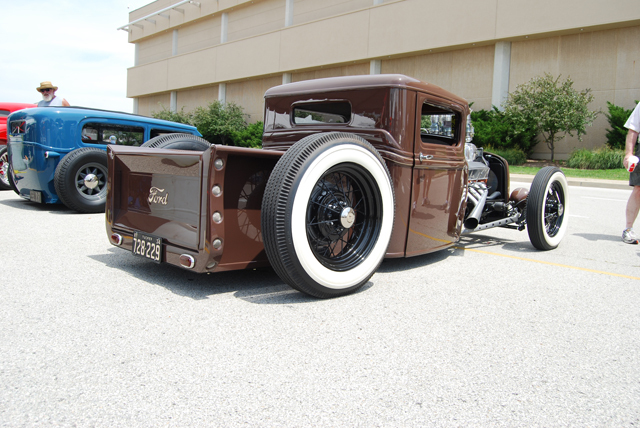 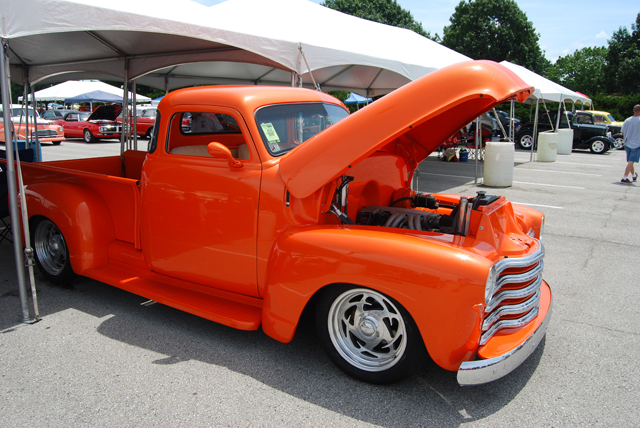 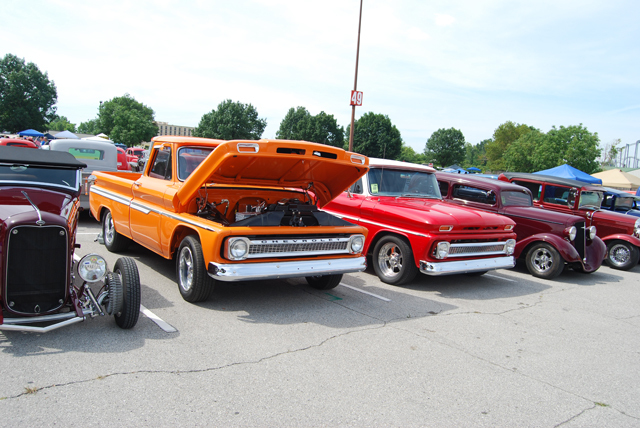 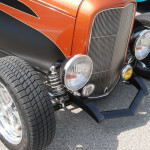 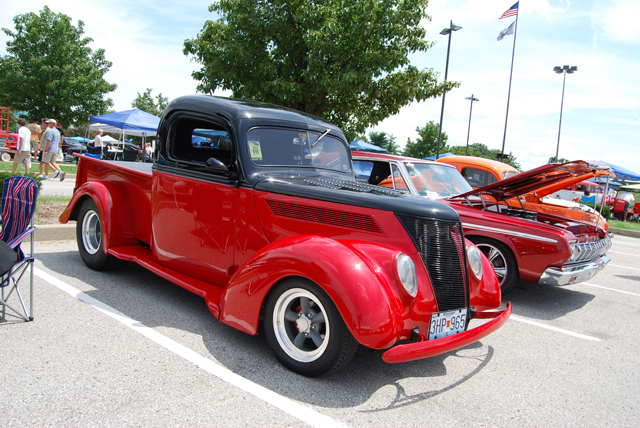 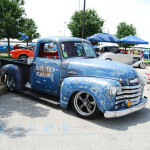 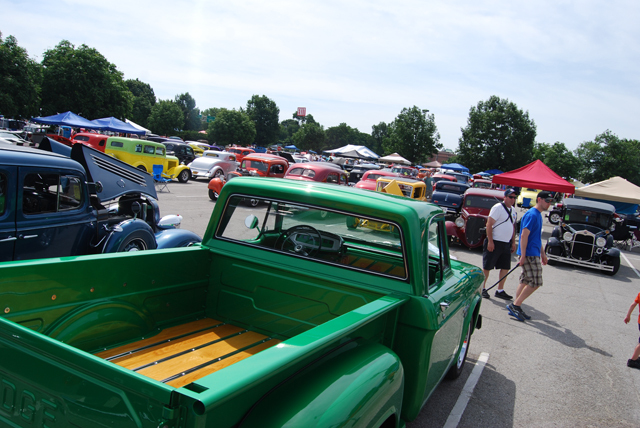 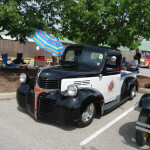 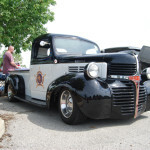 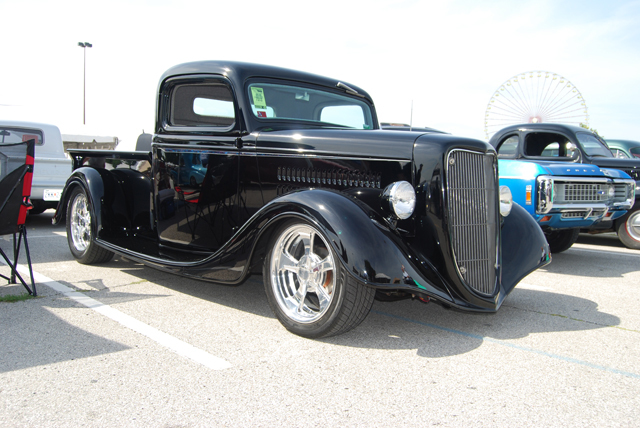 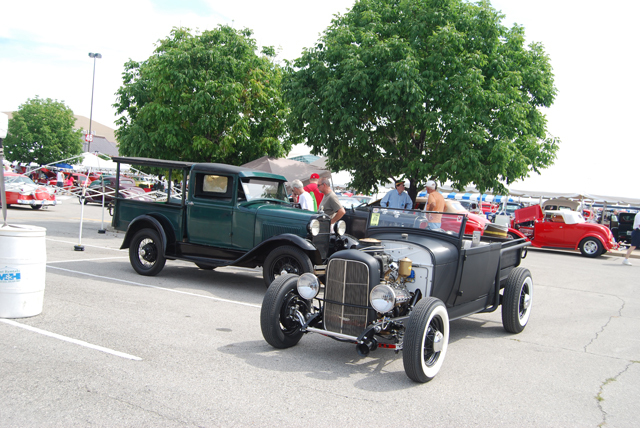 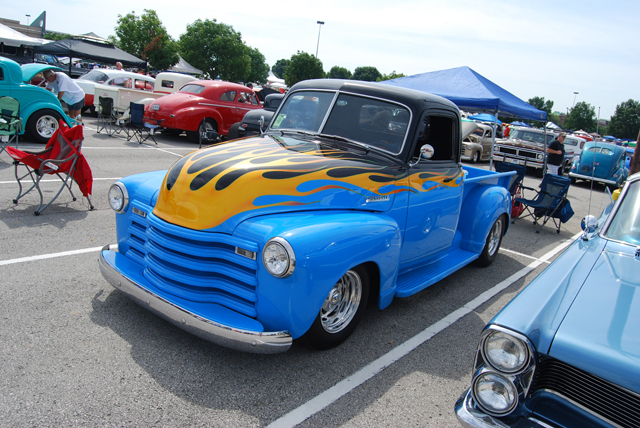 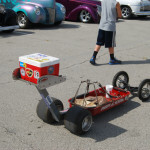 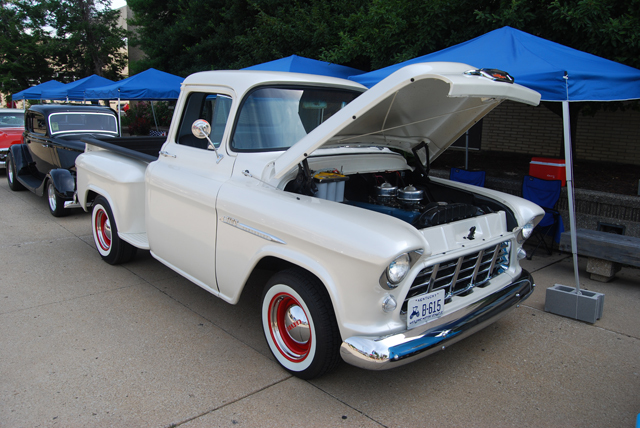 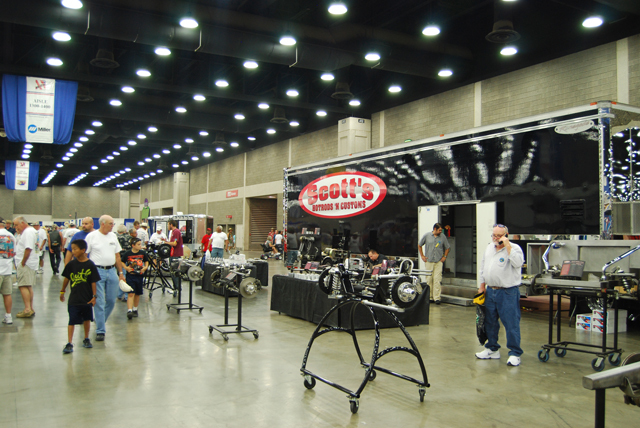 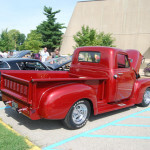 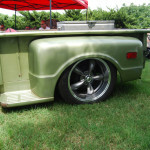 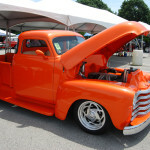 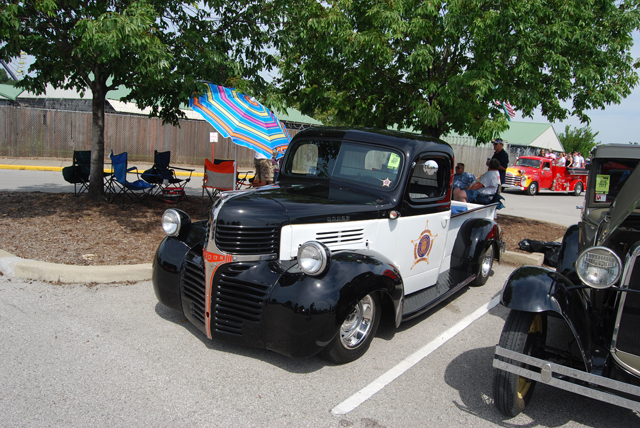 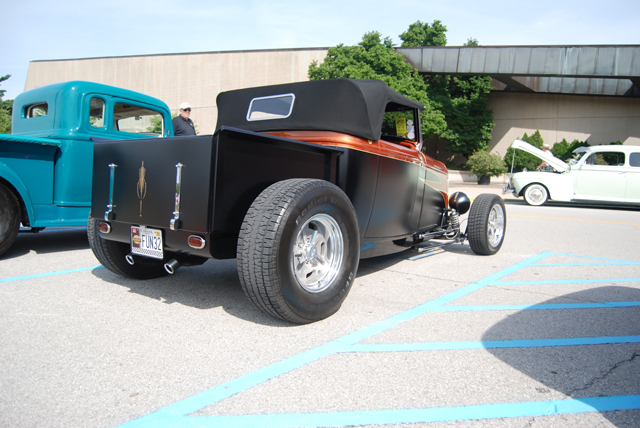 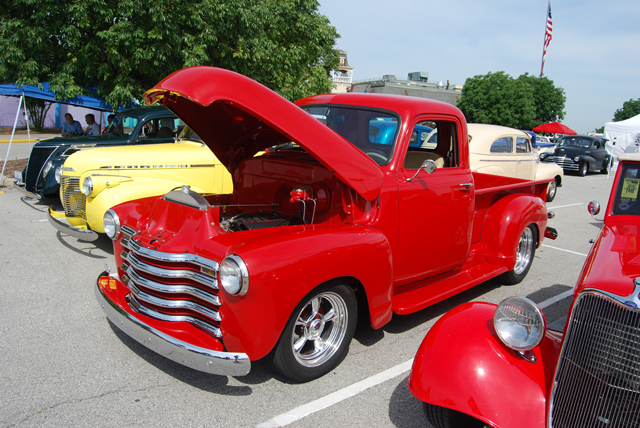 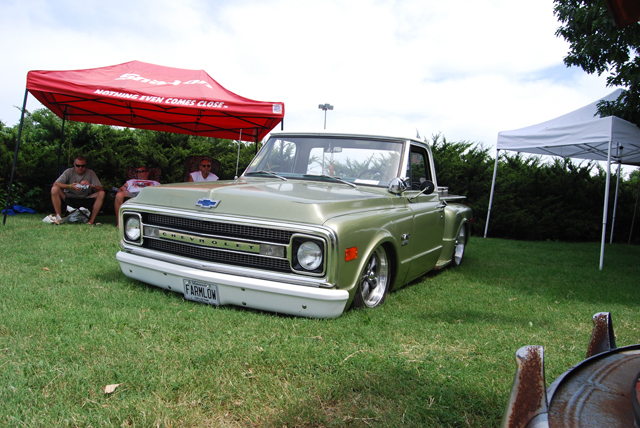 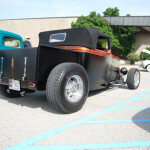 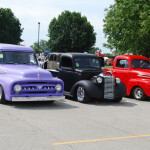 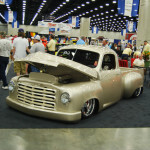 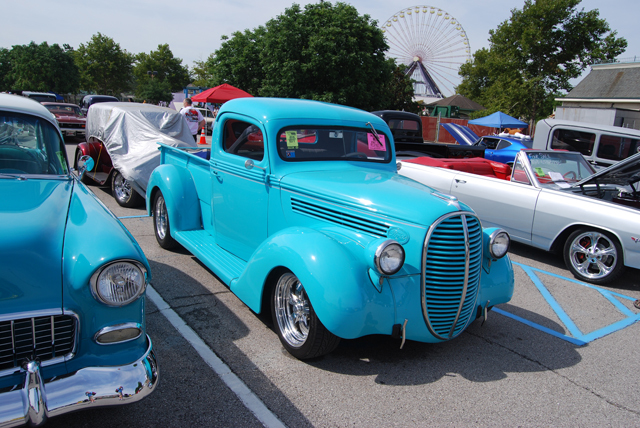 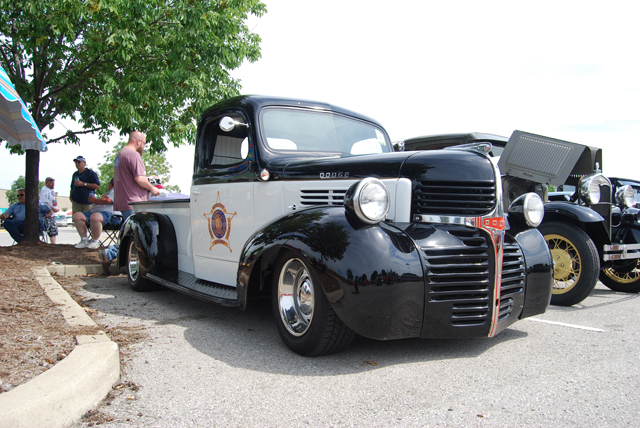 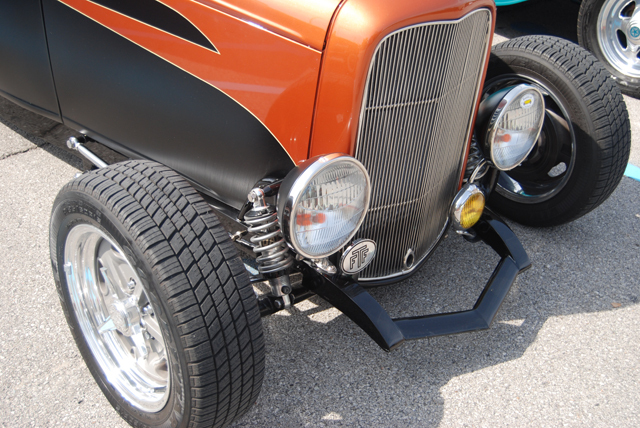 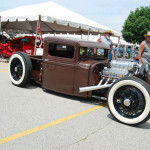 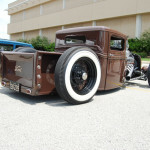 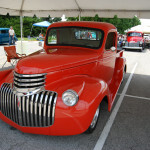 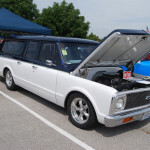 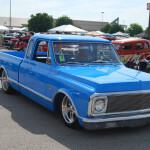 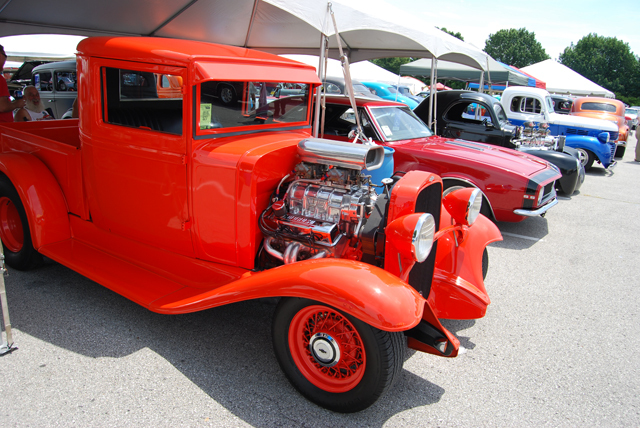 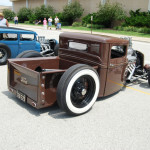 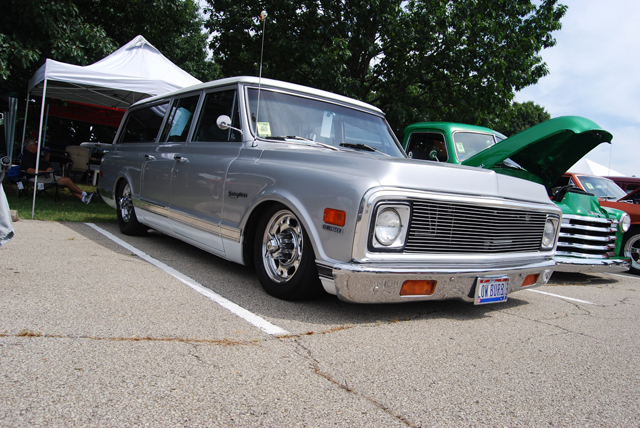 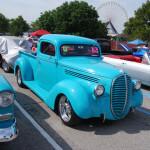 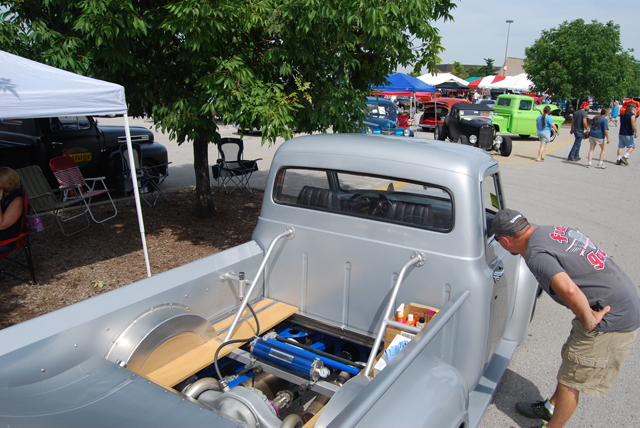 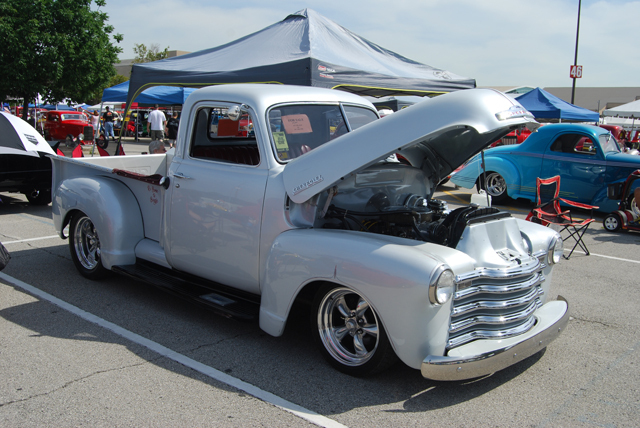 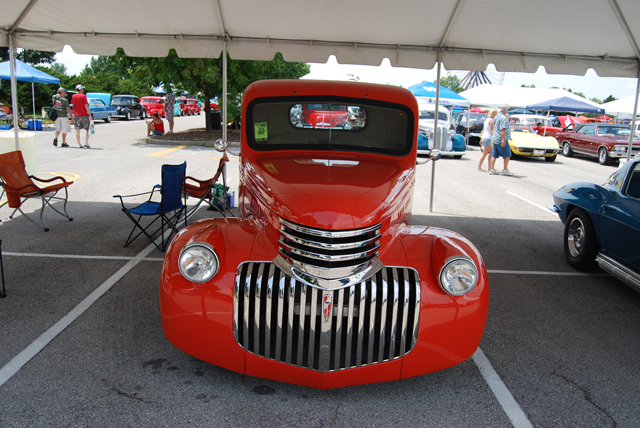 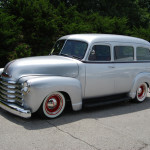 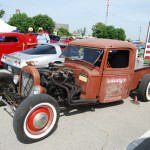 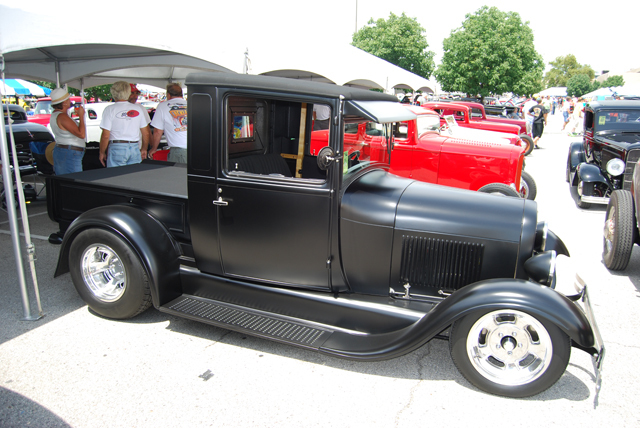 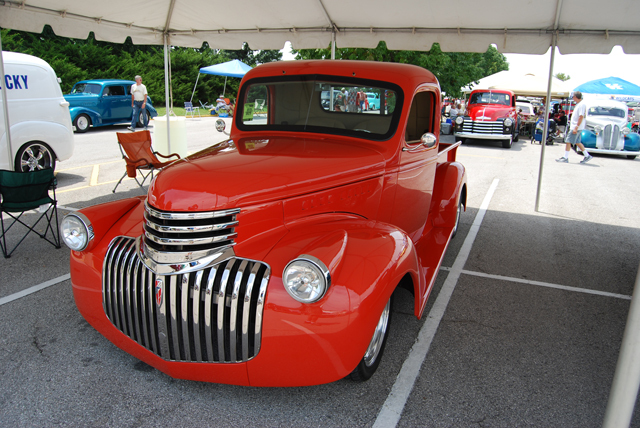 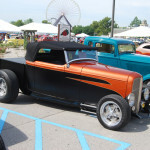 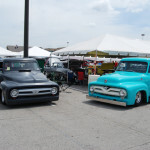 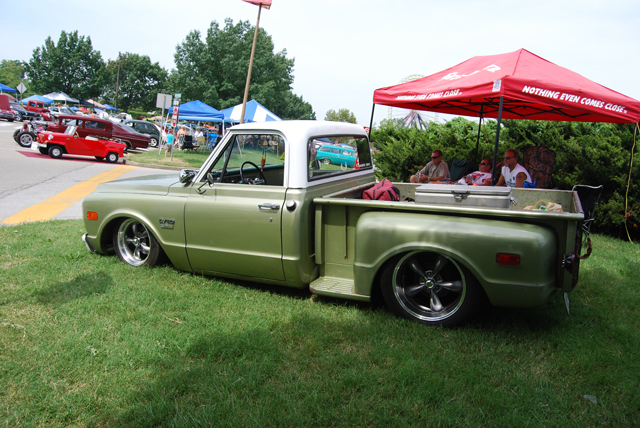 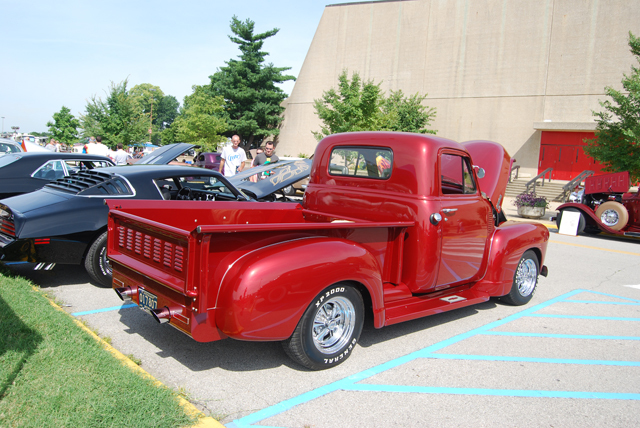 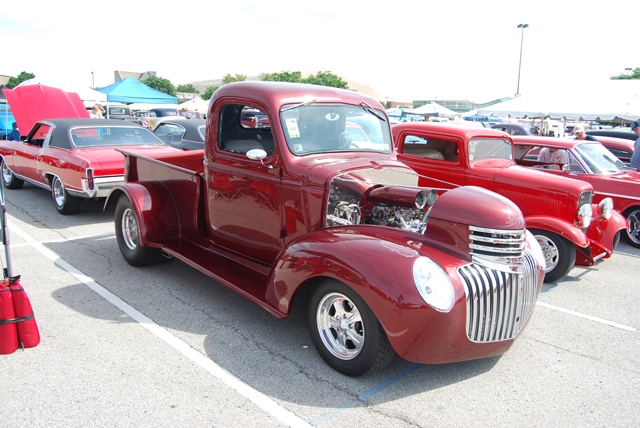 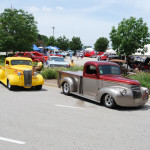 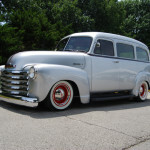 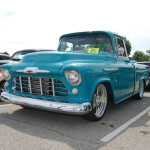 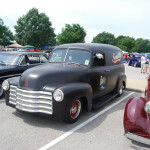 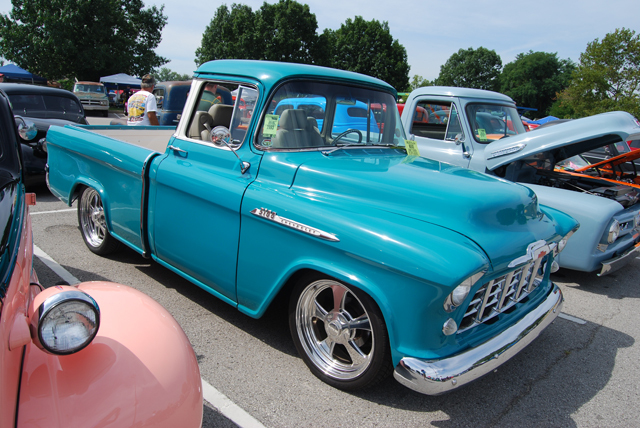 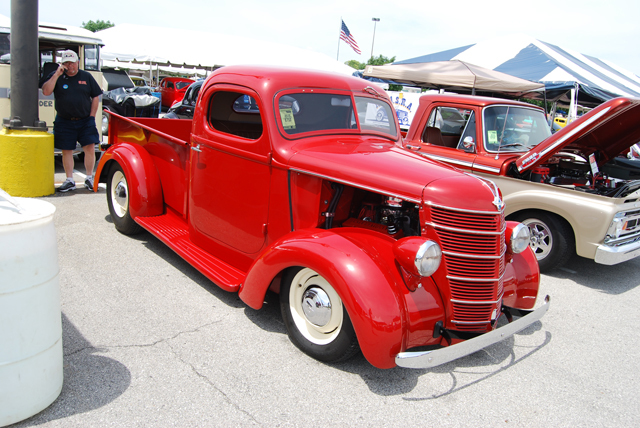 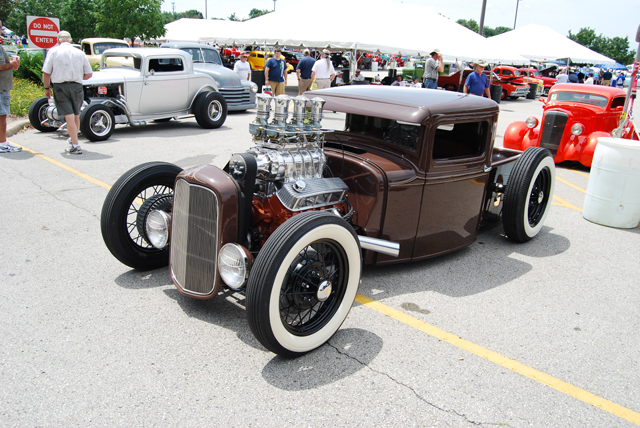 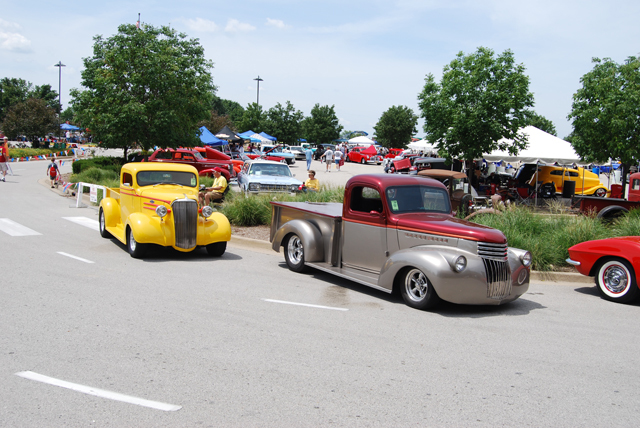 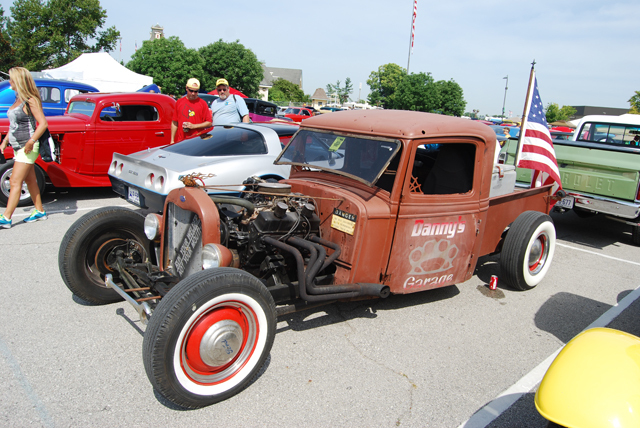 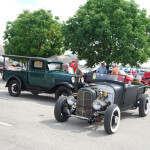 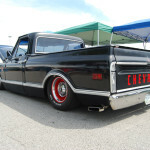 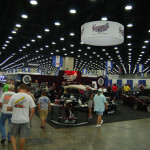 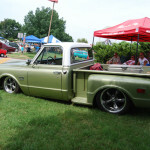 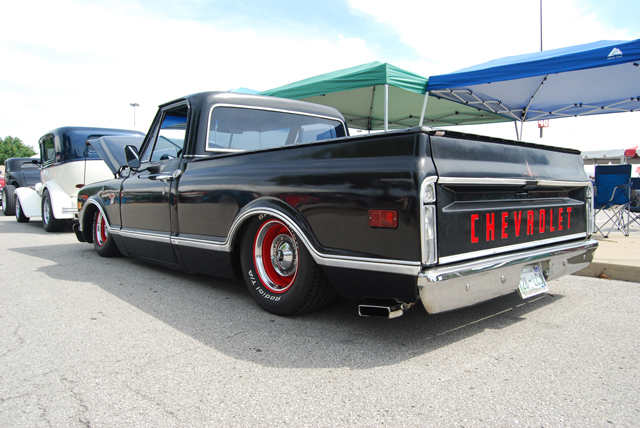 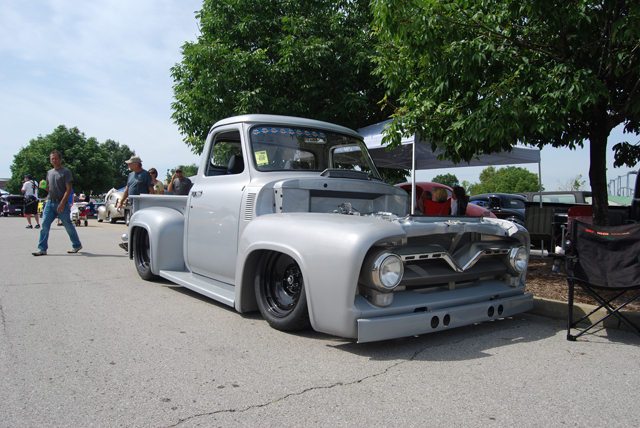 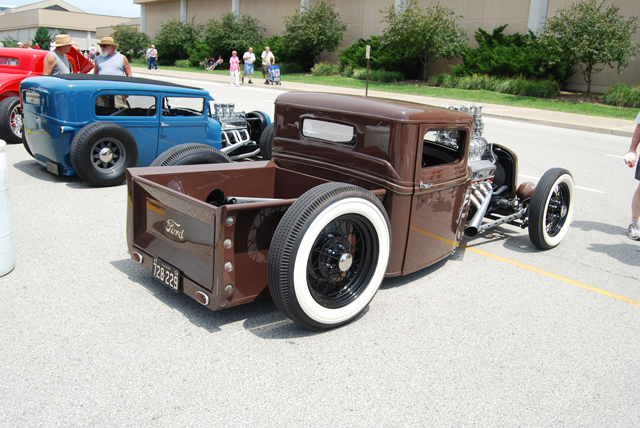 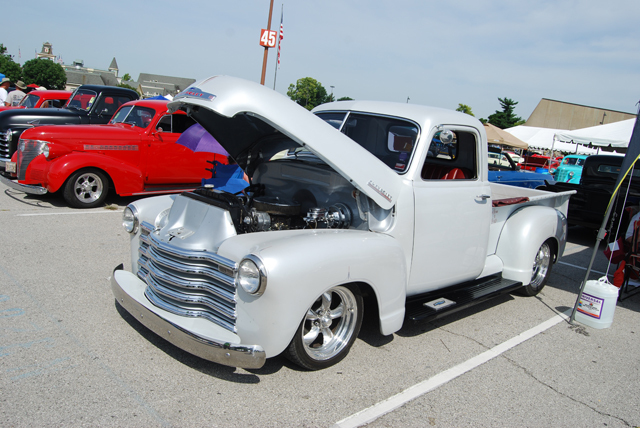 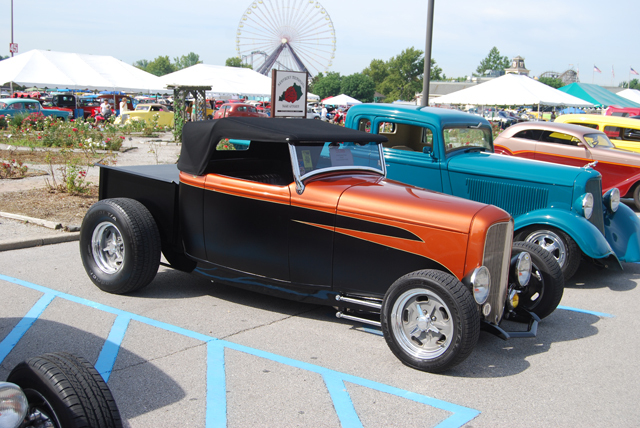 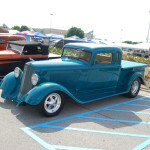 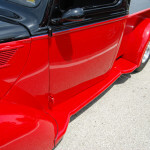 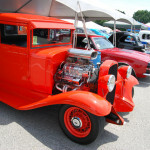 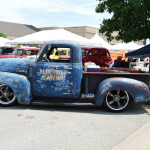 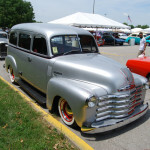 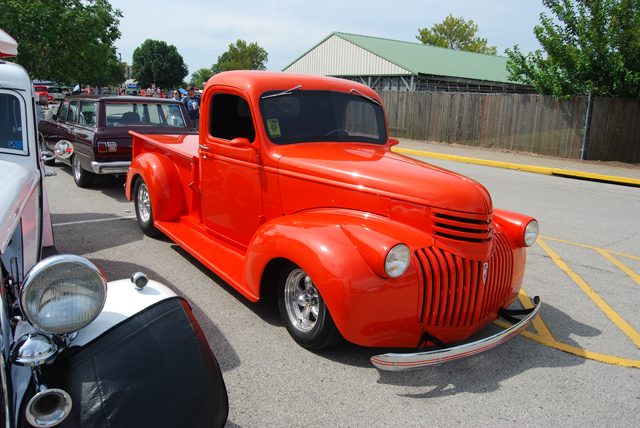 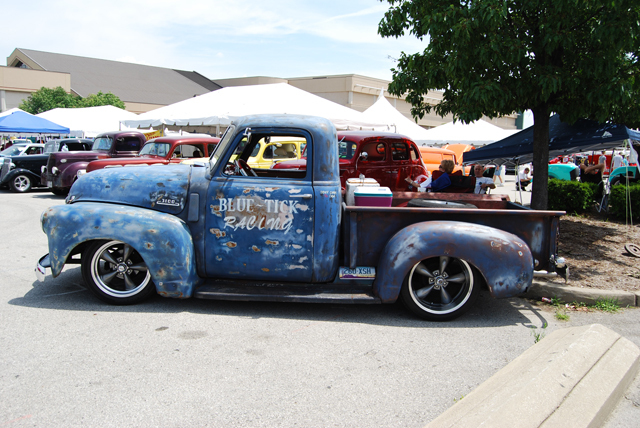 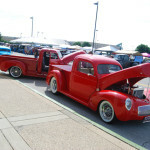 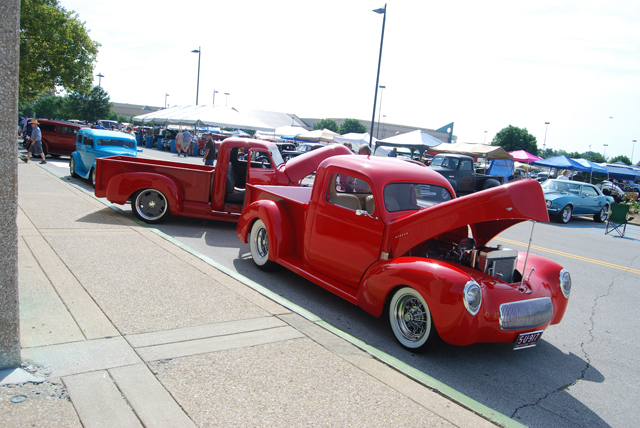 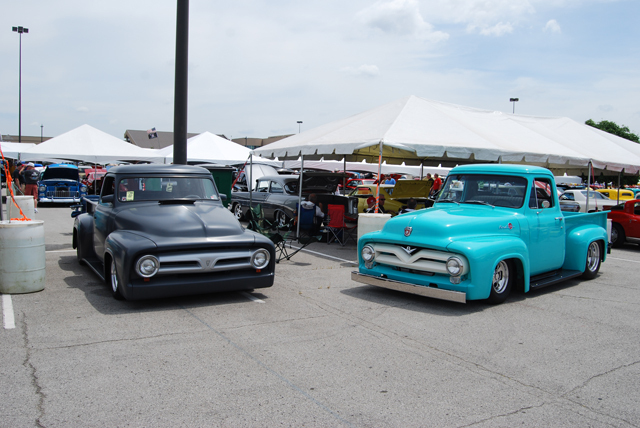 Few events draw as many hot rods and classics as the NSRA Street Rod Nationals in Louisville, Kentucky. 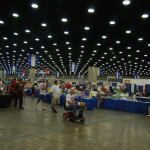 This year was, as expected, really well attended. 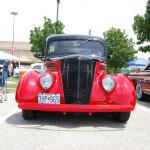 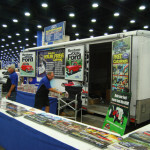 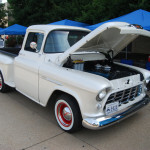 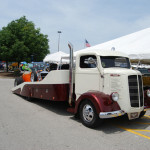 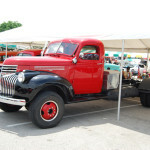 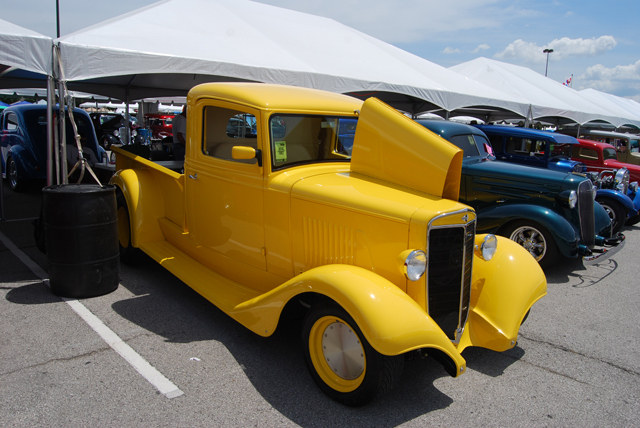 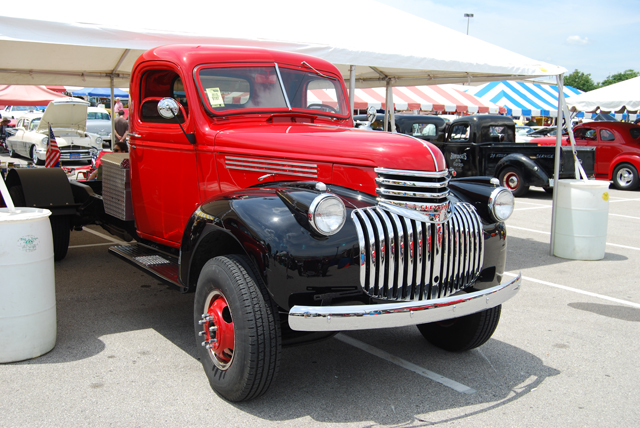 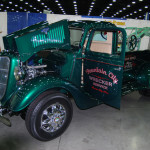 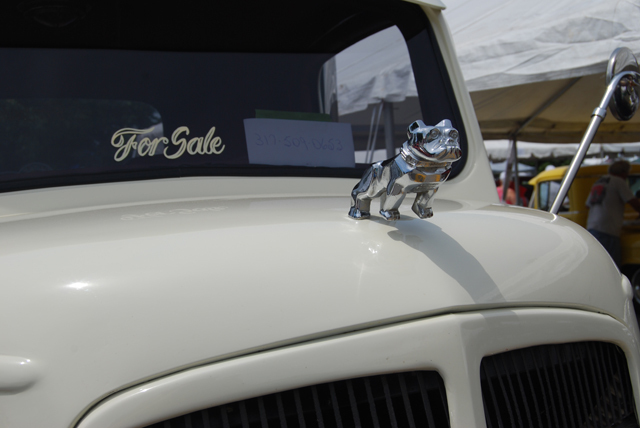 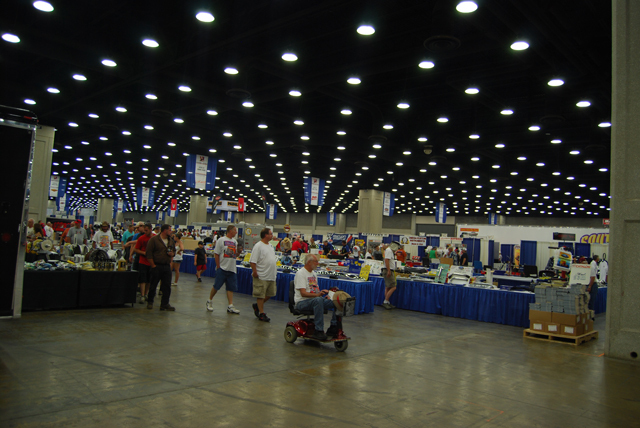 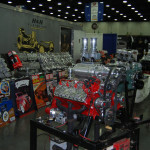 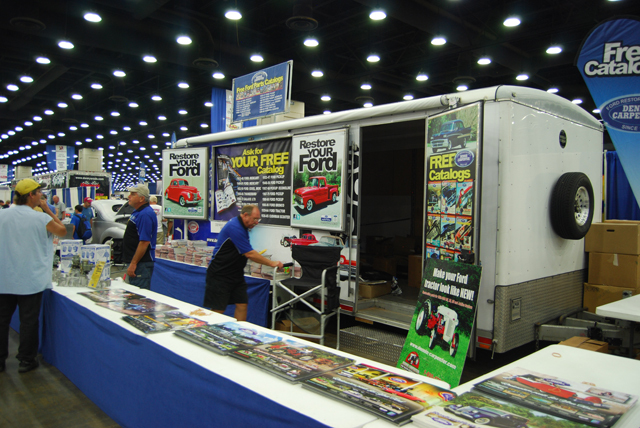 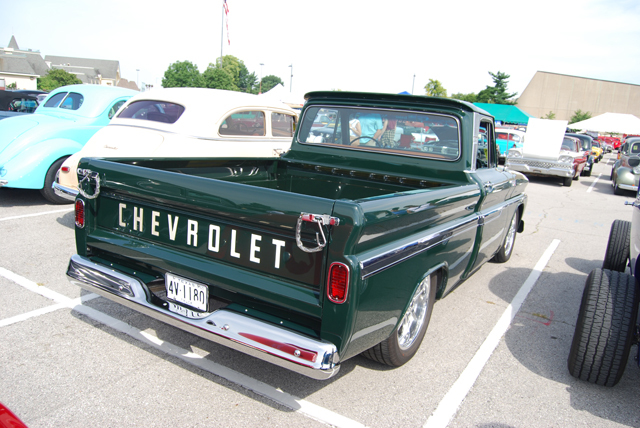 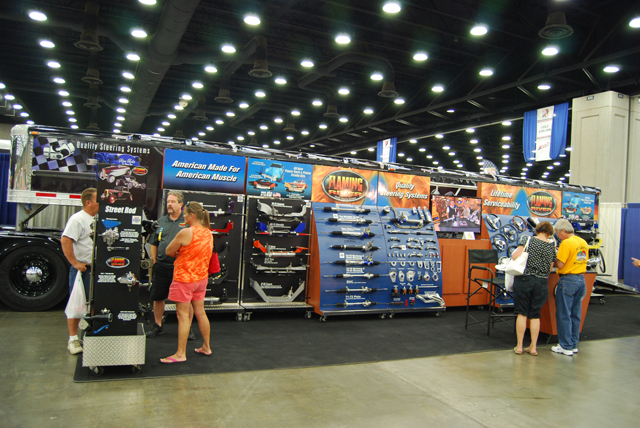 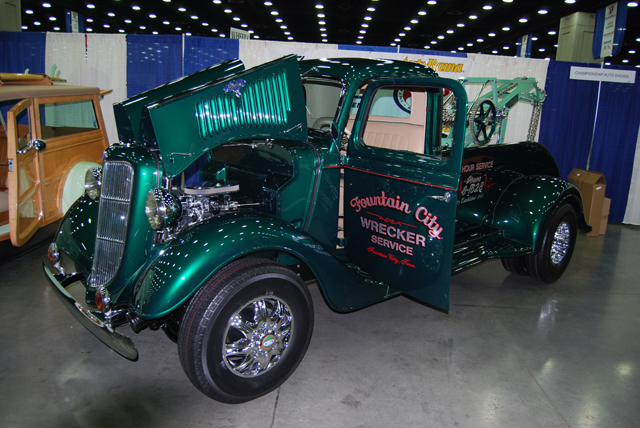 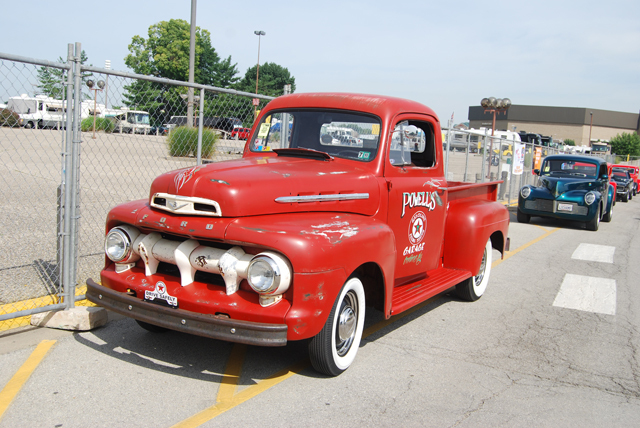 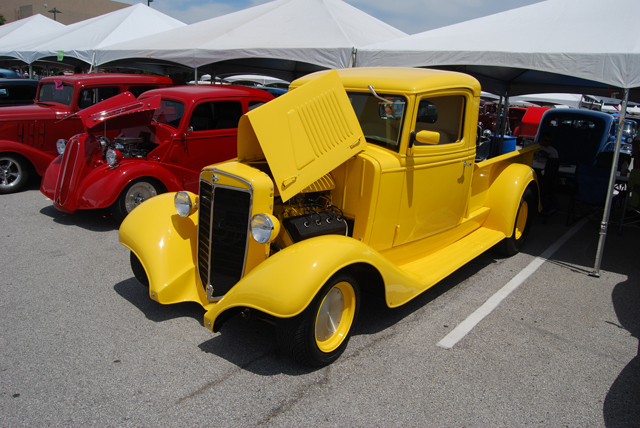 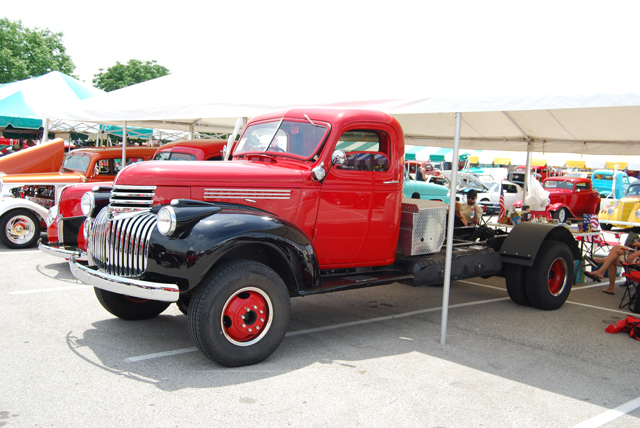 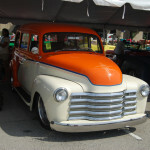 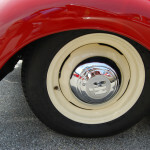 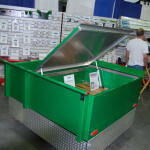 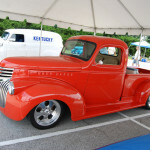 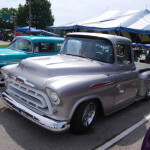 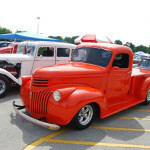 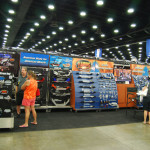 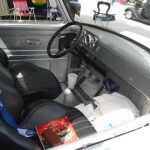 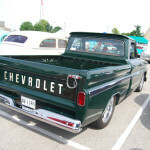 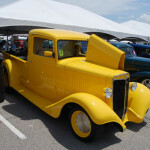 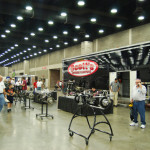 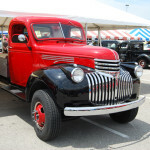 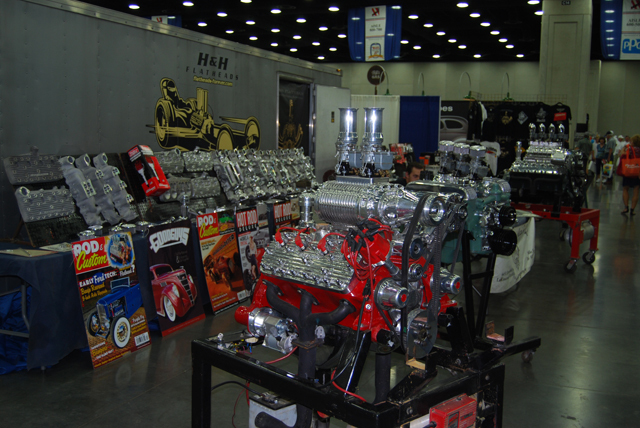 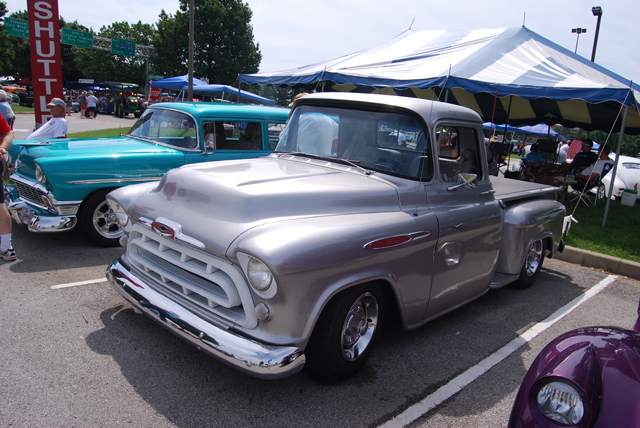 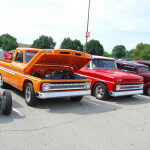 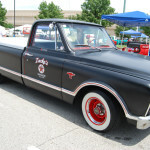 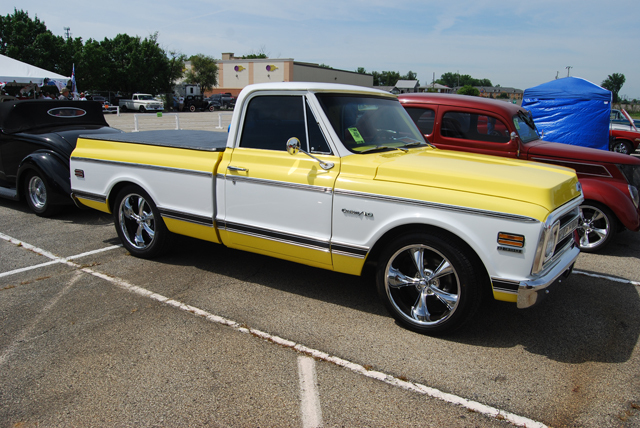 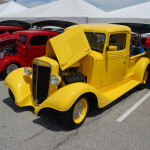 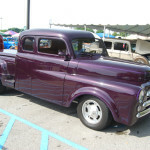 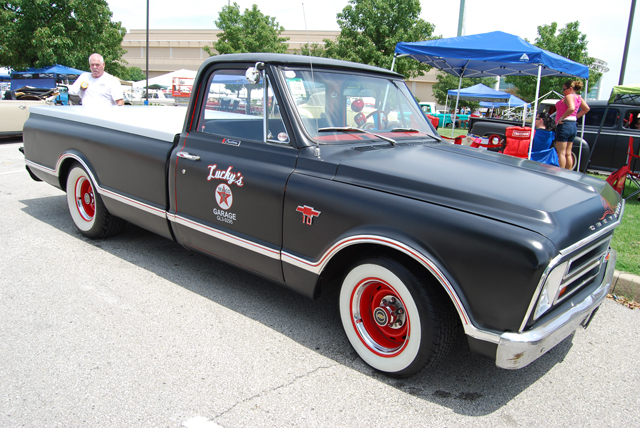 Classic cars and trucks of nearly every make, model, color, unique to popular lined the aisles of the Kentucky Exposition Center. 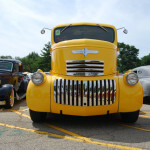 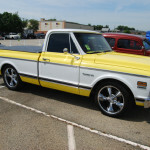 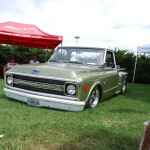 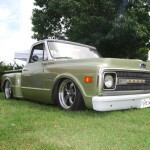 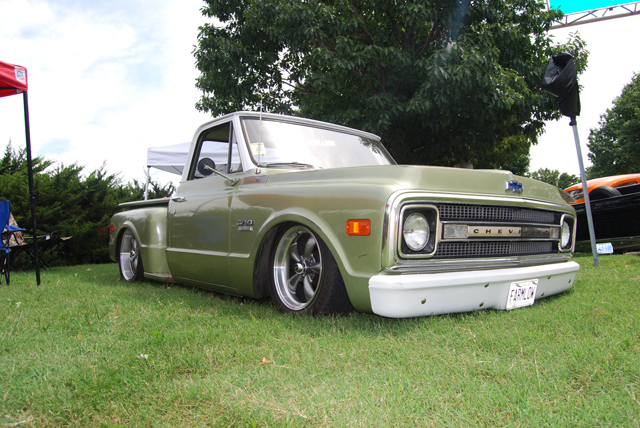 We focus on trucks here. 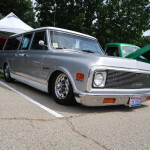 Enjoy Friday’s shots of the best we could find! 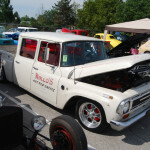 1967 Toyota Scout. 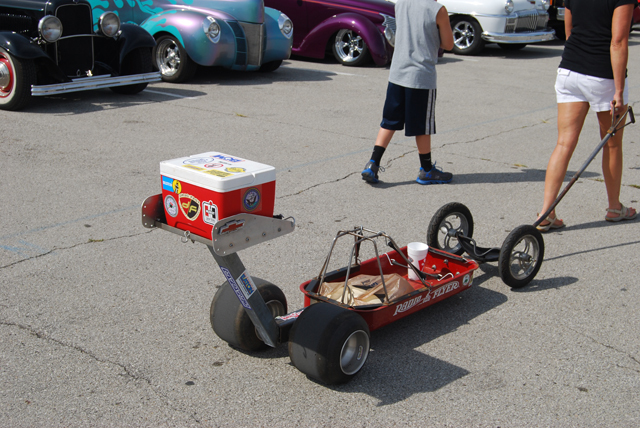 We haven’t even seen one of these before! 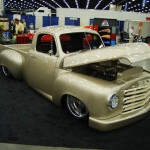 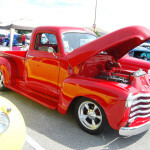 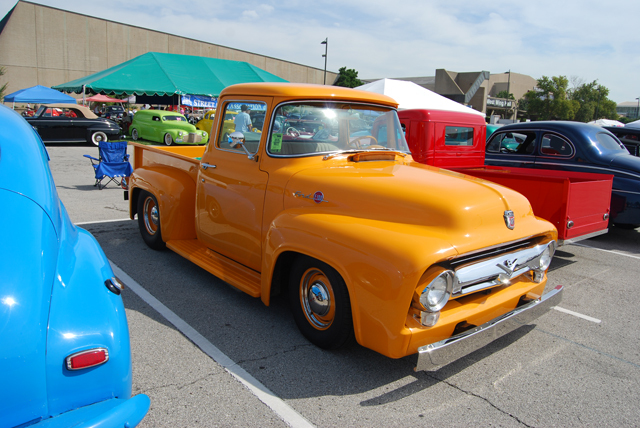 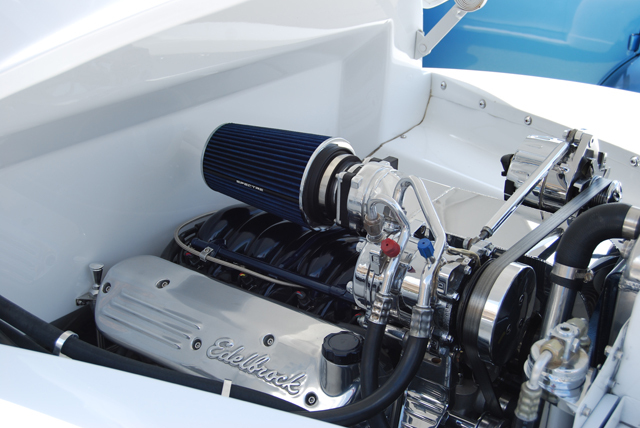 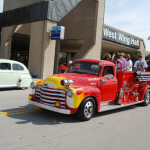 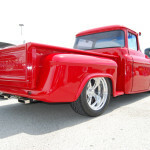 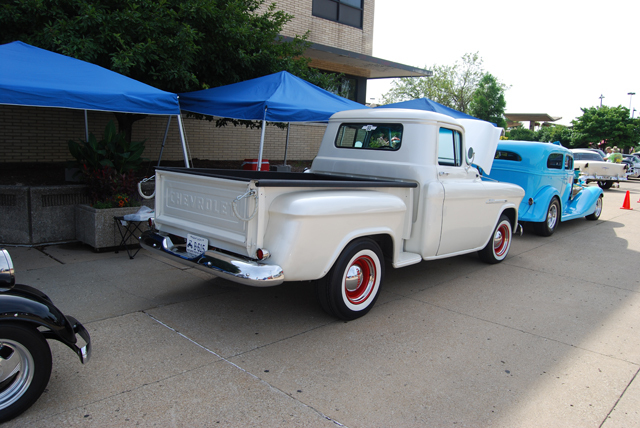 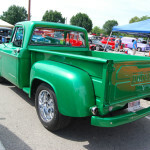 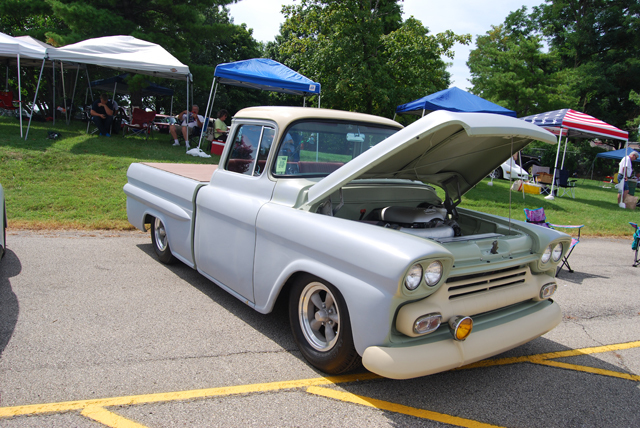 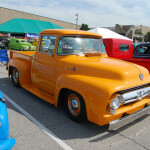 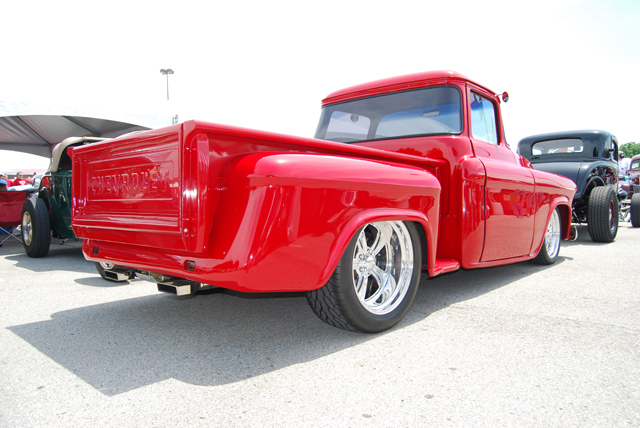 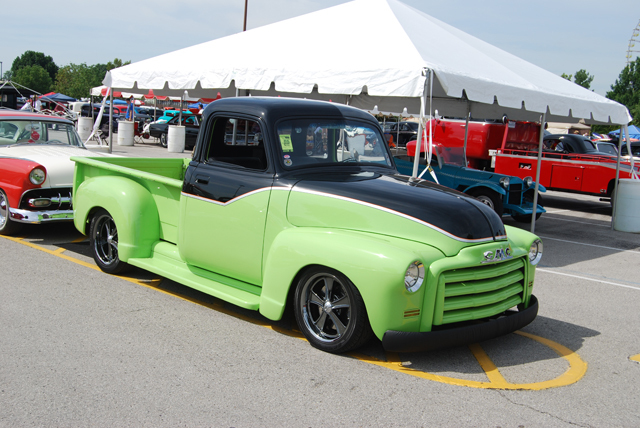 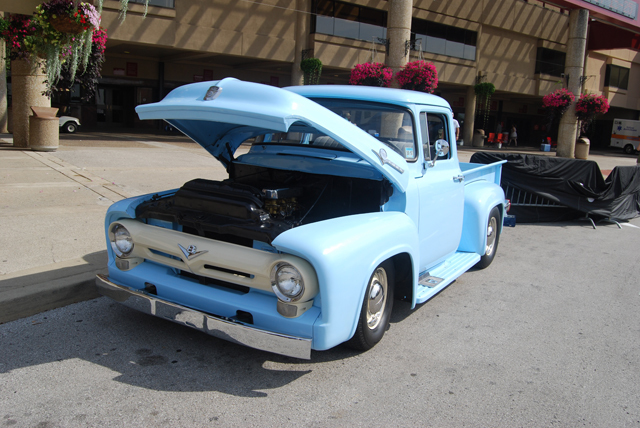 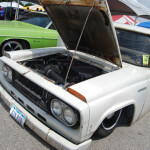 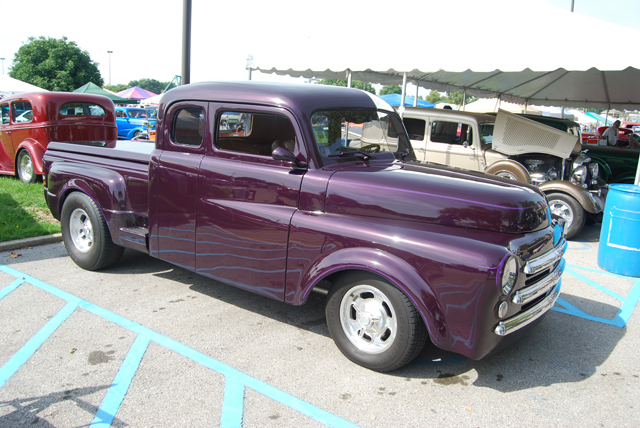 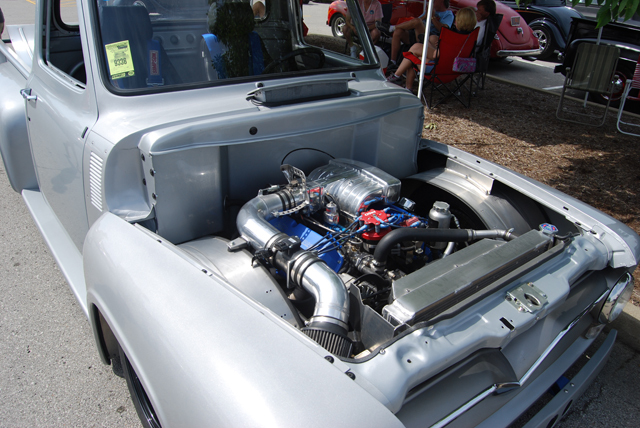 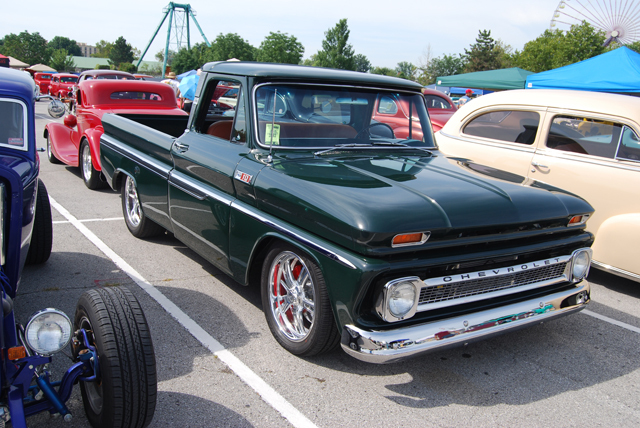 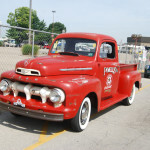 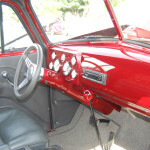 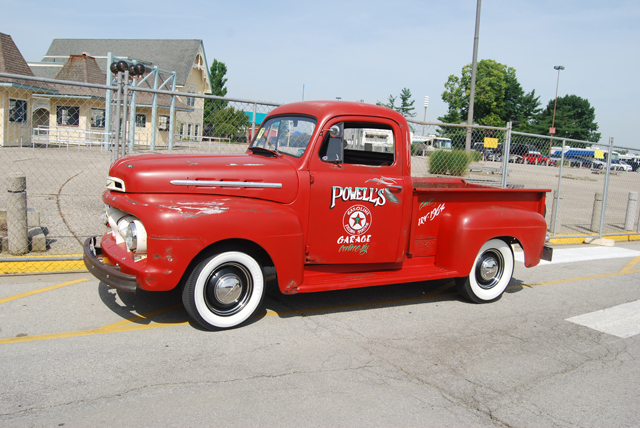 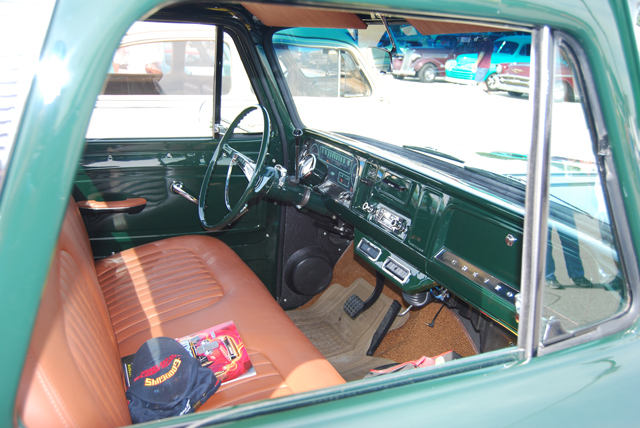 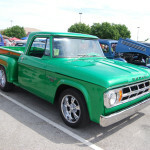 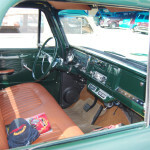 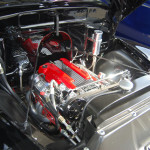 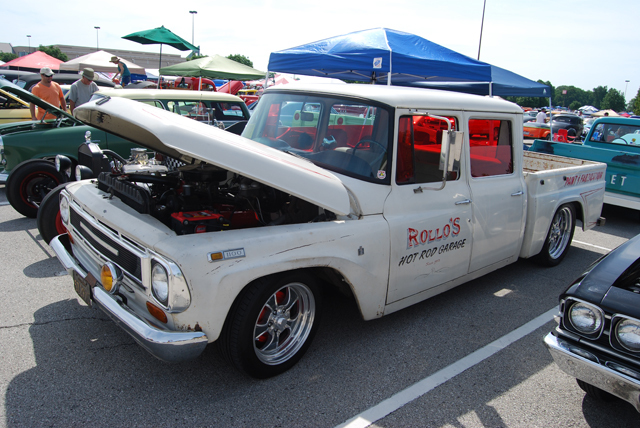 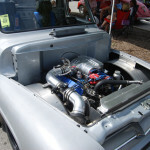 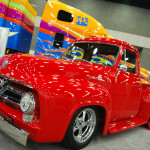 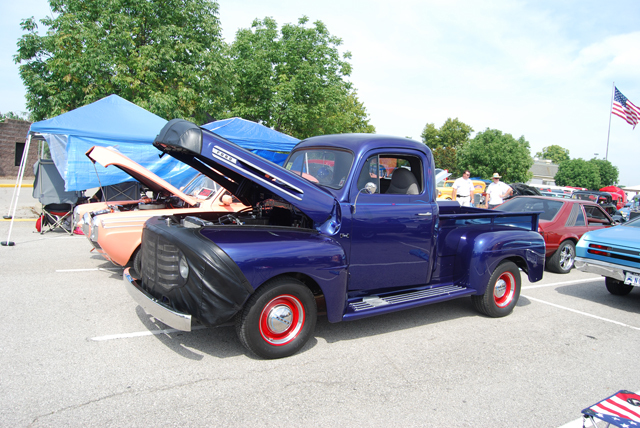 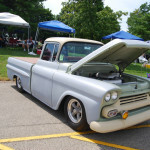 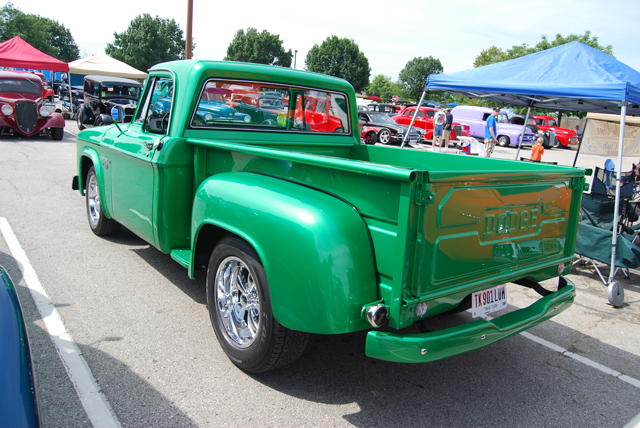 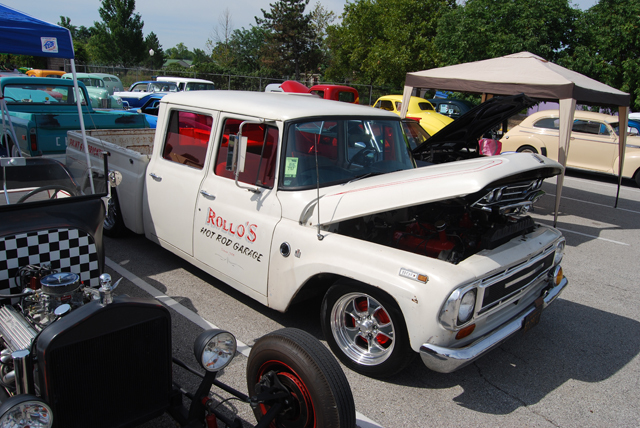 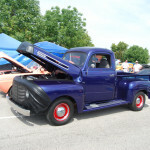 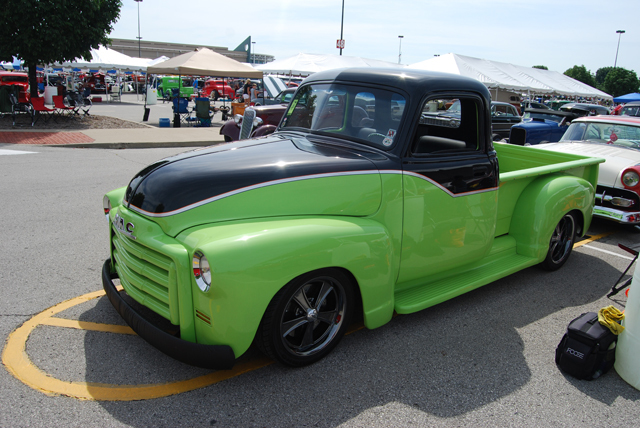 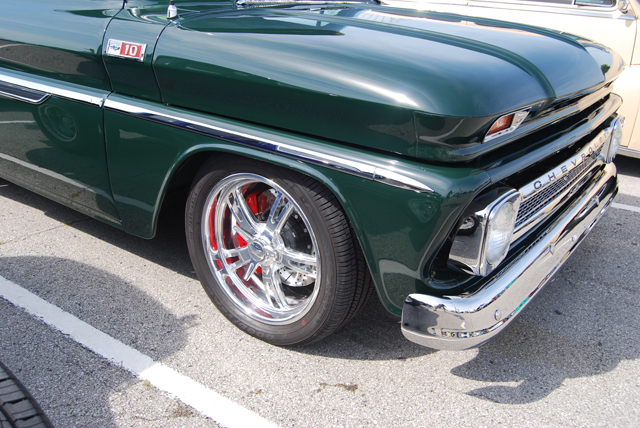 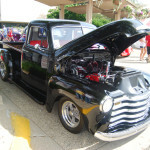 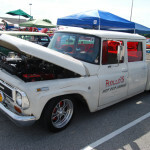 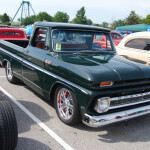 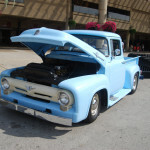 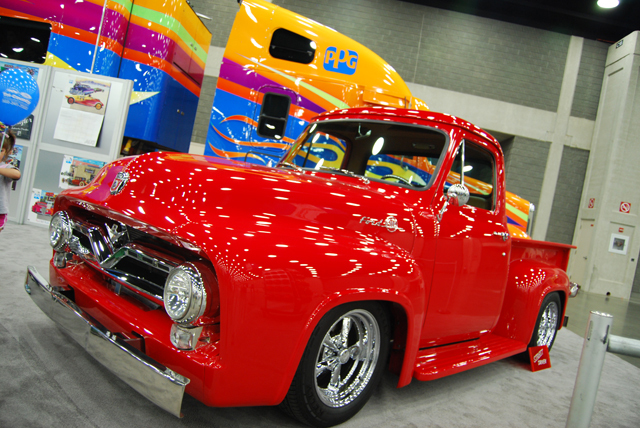 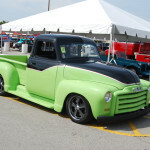 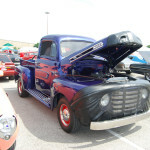 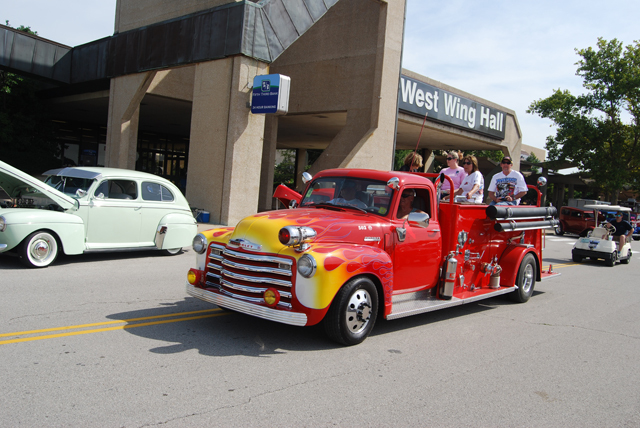 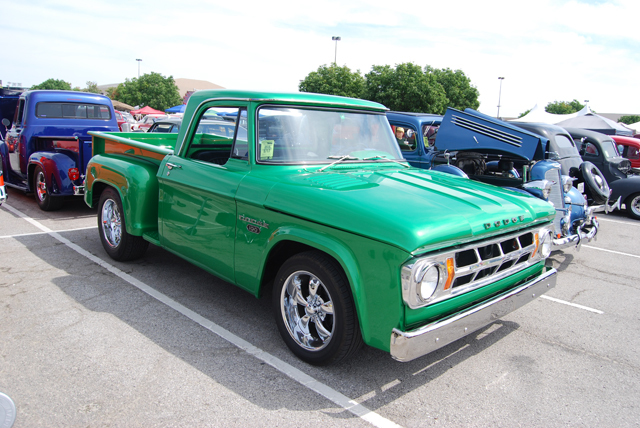 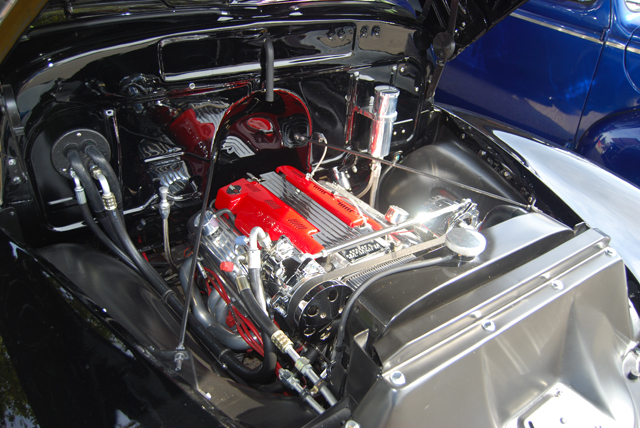 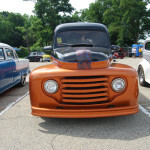 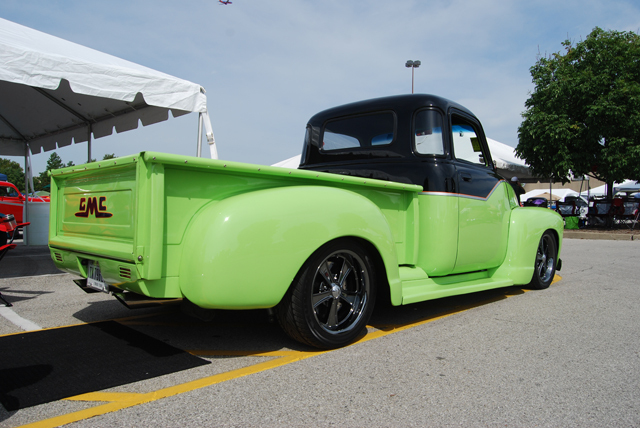 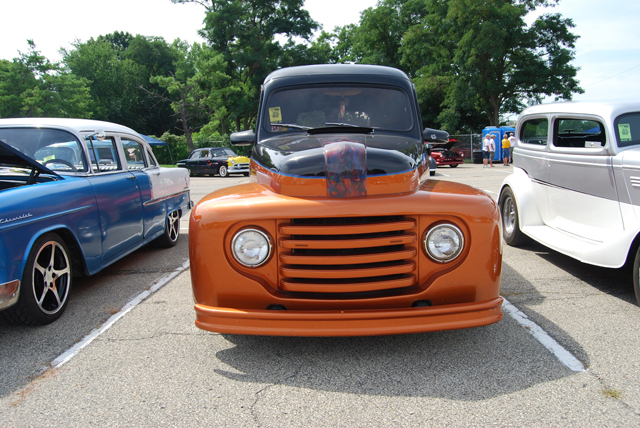 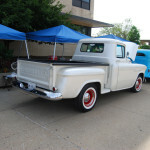 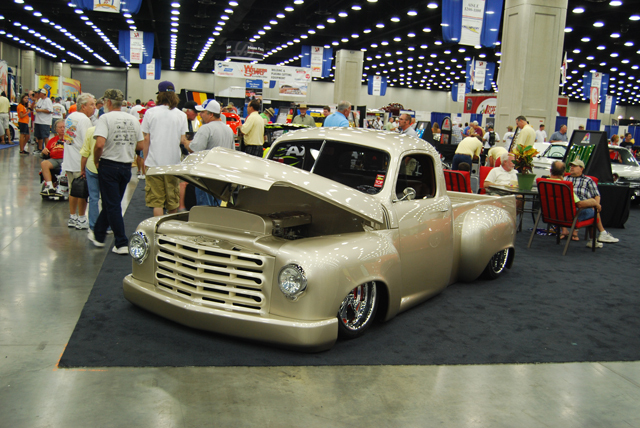 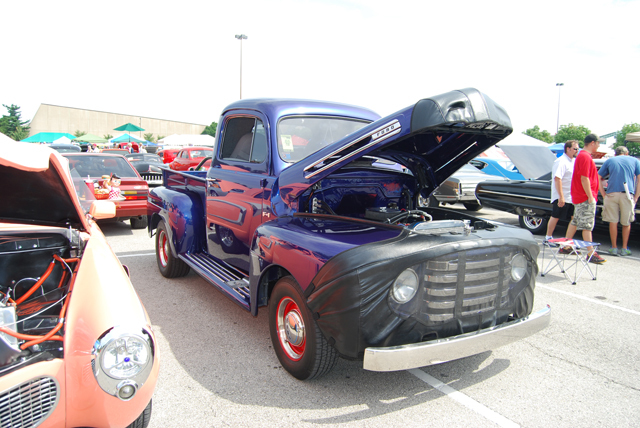 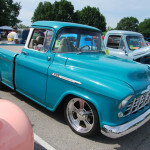 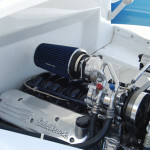 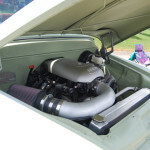 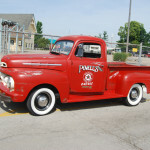 PPG brough their 55 Ford F100 as a shining example of PPG color. 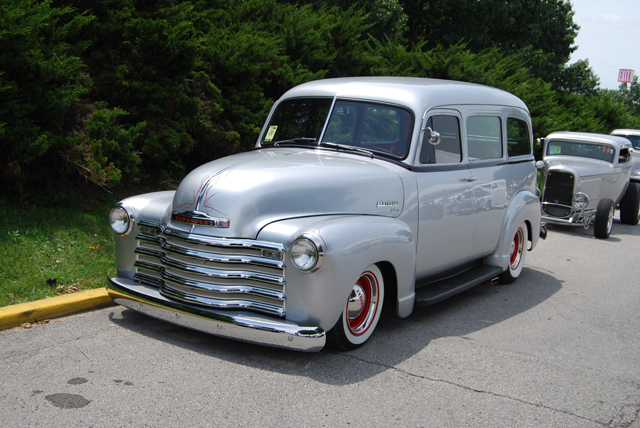 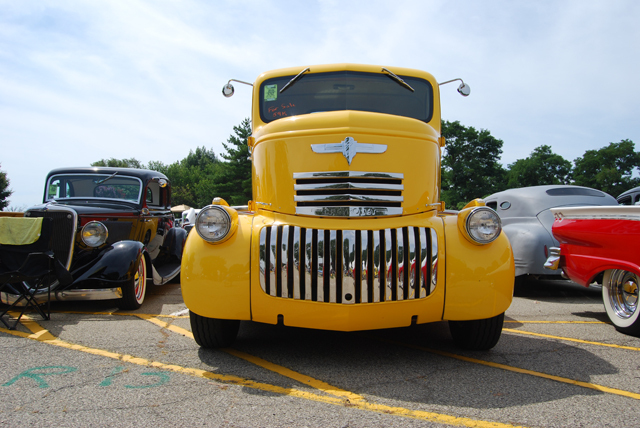 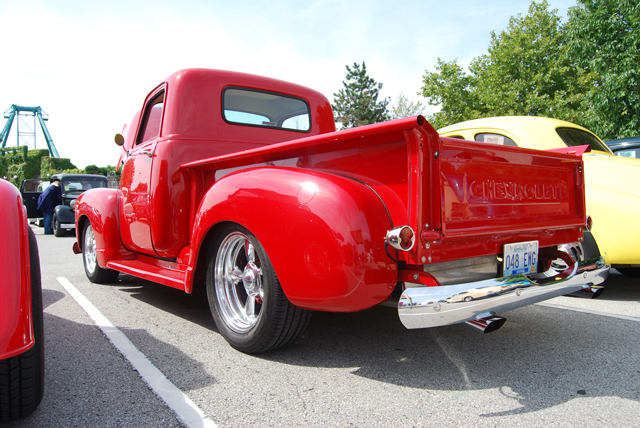 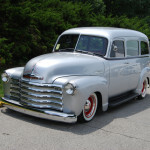 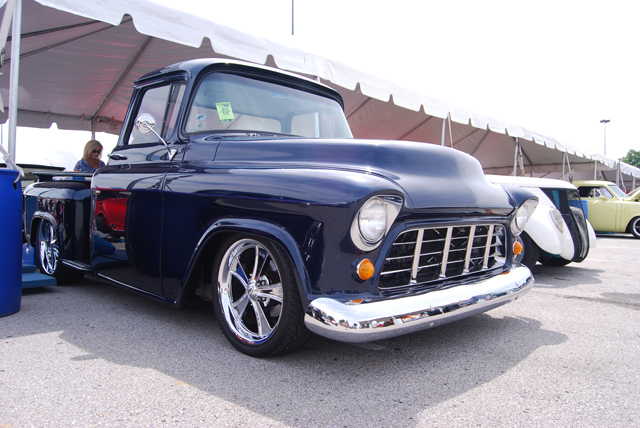 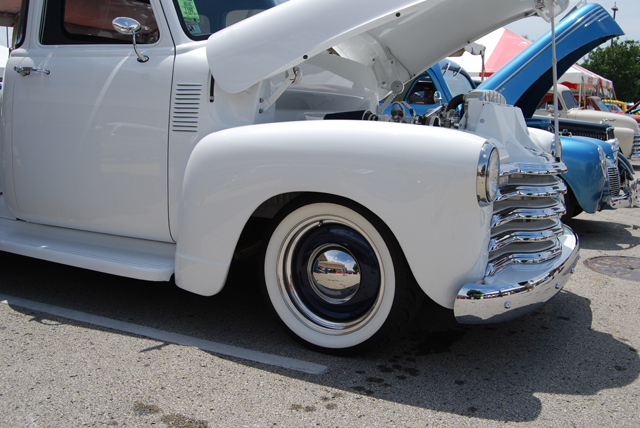 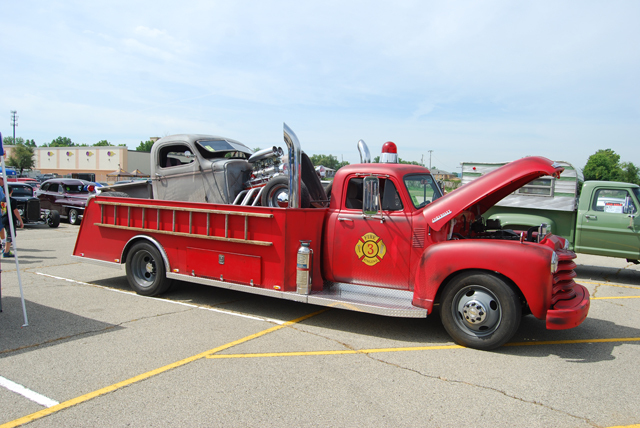 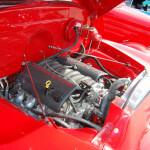 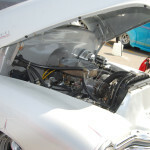 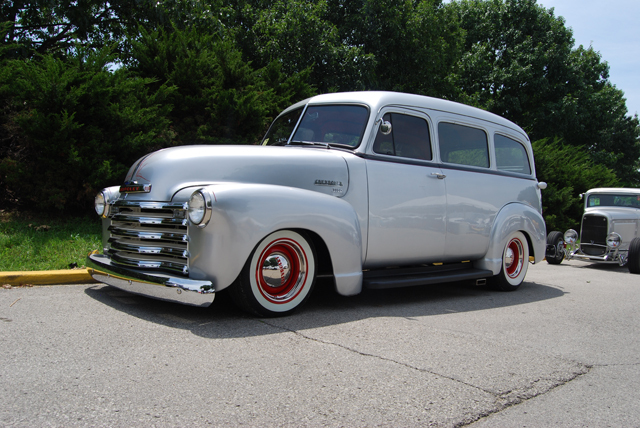 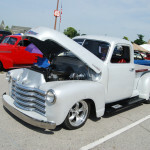 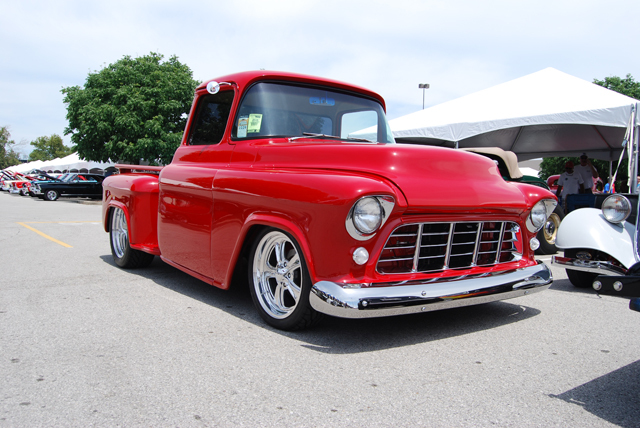 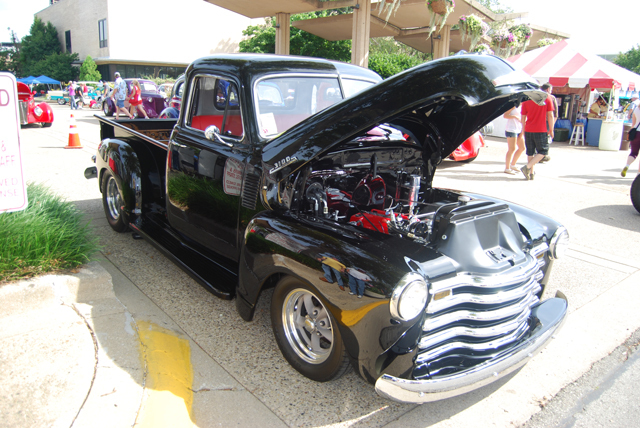 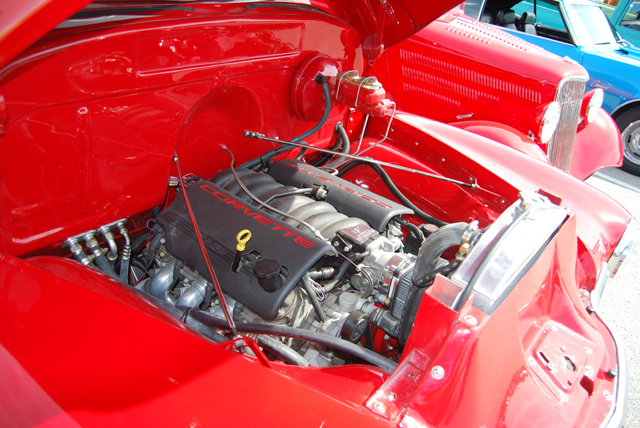 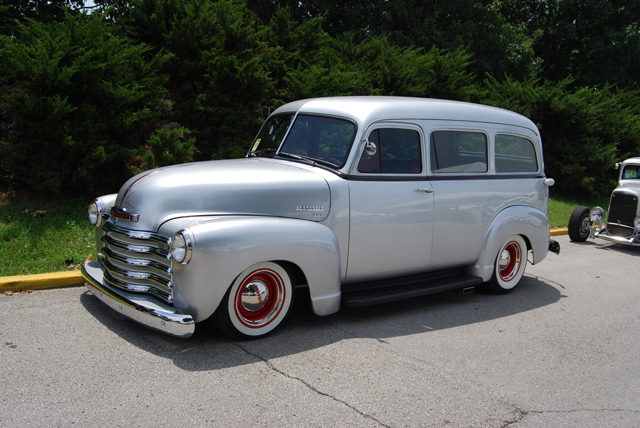 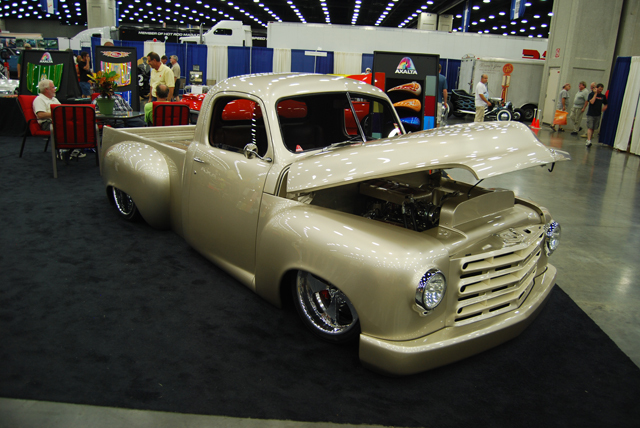 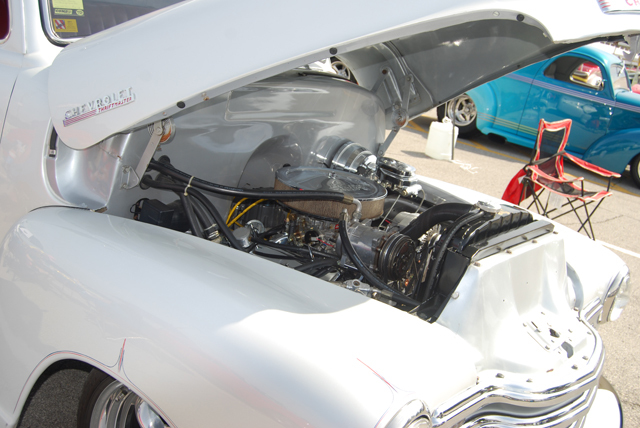 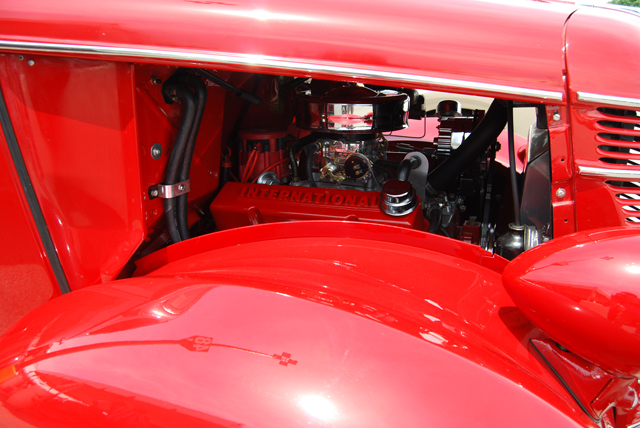 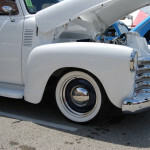 1950 Chevy Truck – Corvette Power! 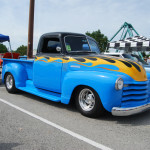 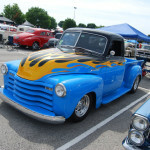 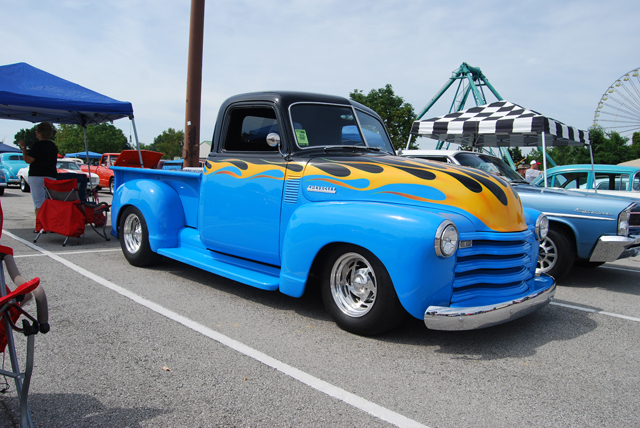 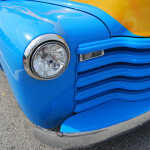 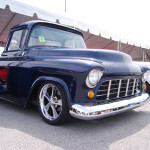 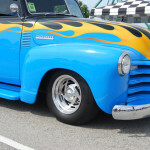 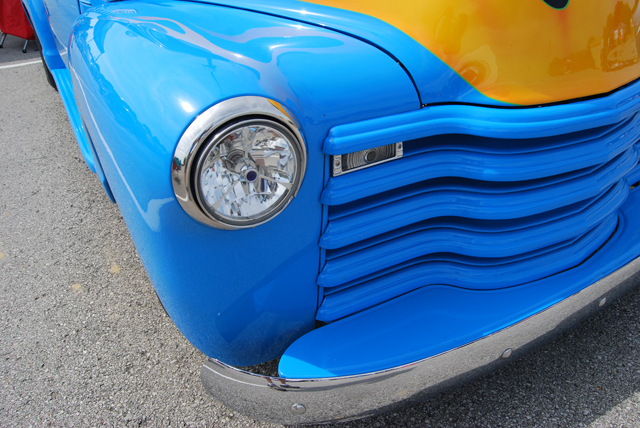 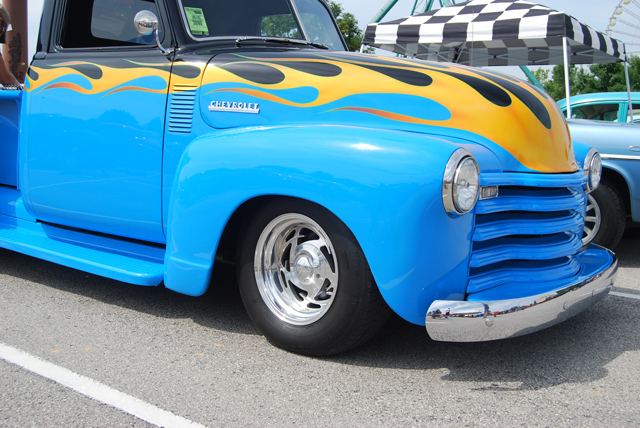 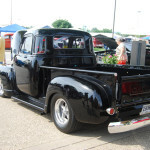 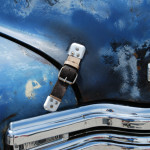 1948 Chevy Truck – Black & Blue with flames!!! 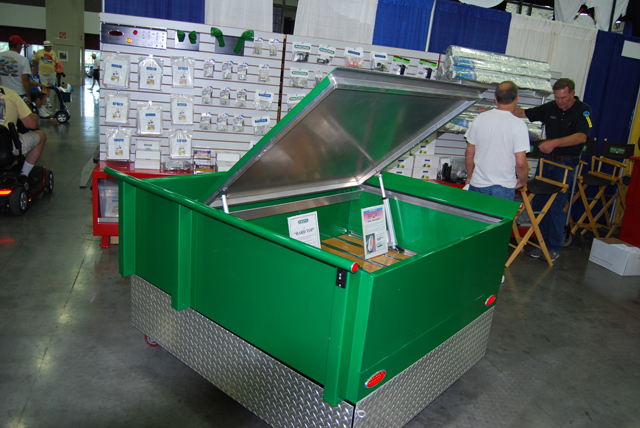 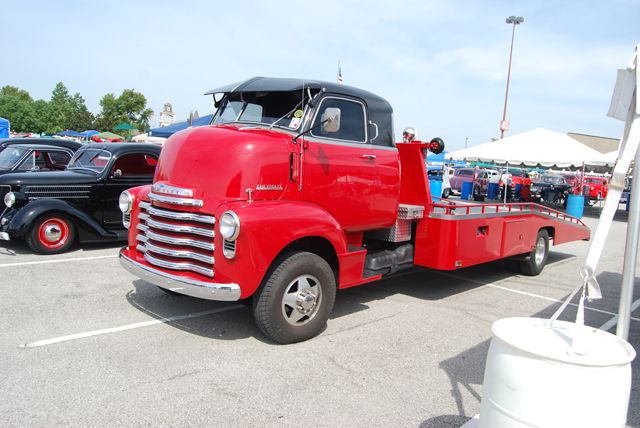 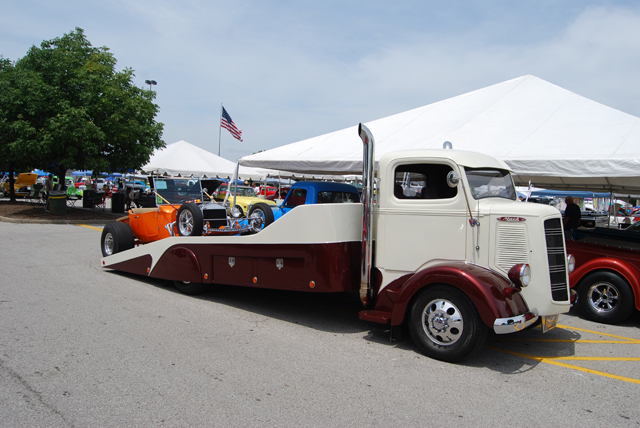 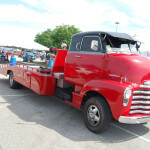 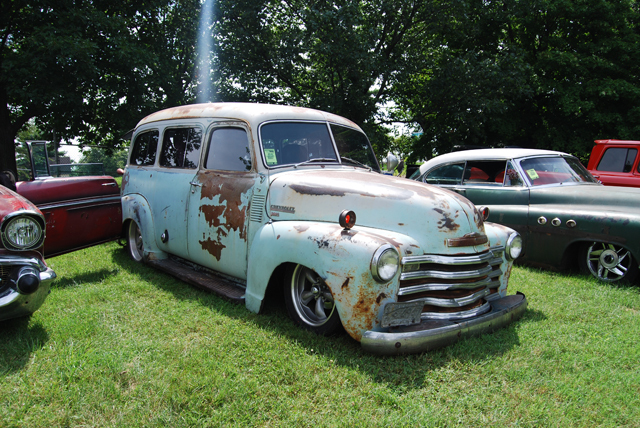 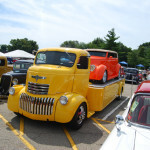 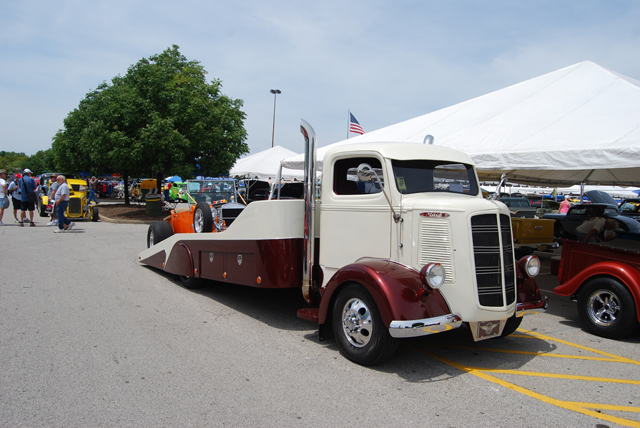 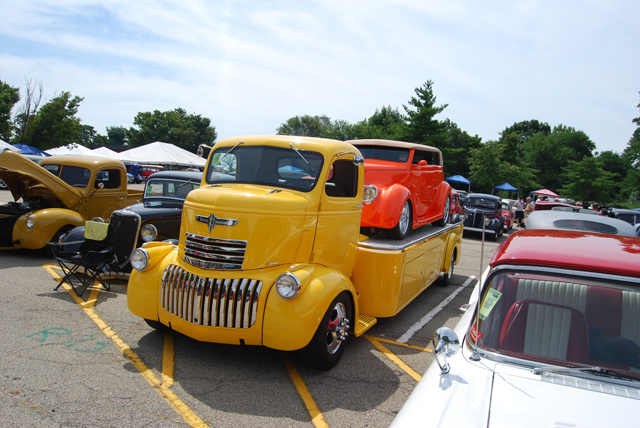 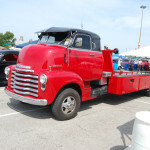 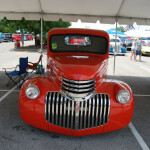 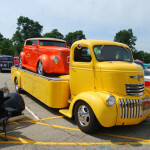 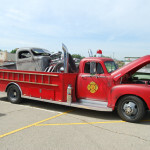 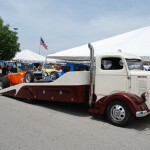 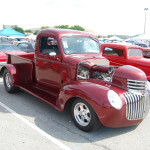 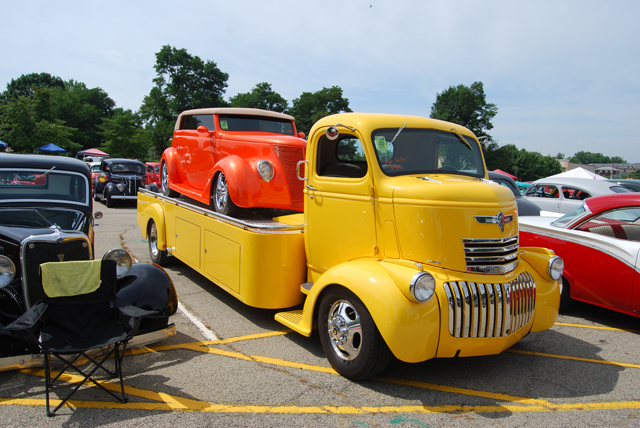 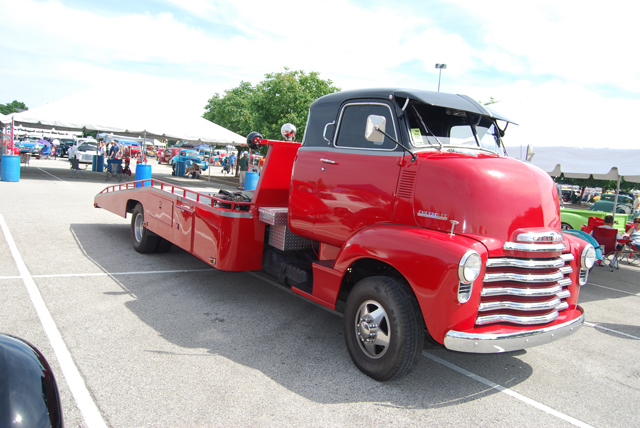 1942 Chevy COE – Still Haulin! 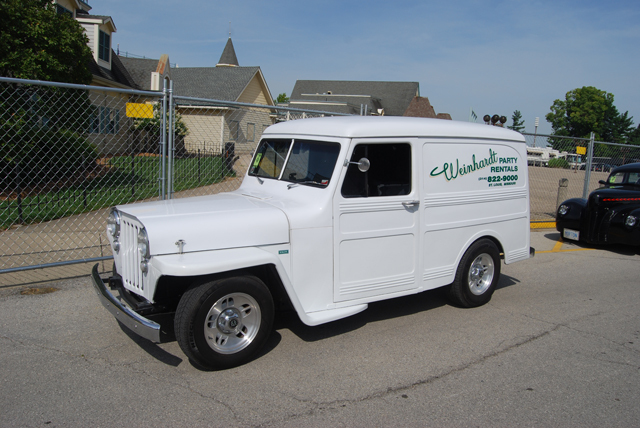 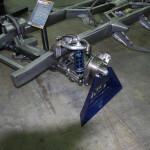 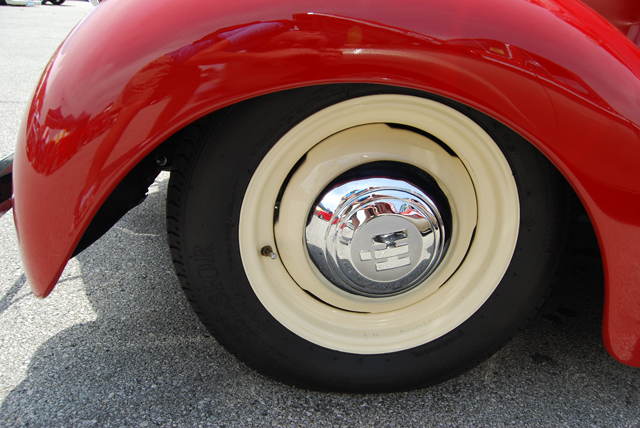 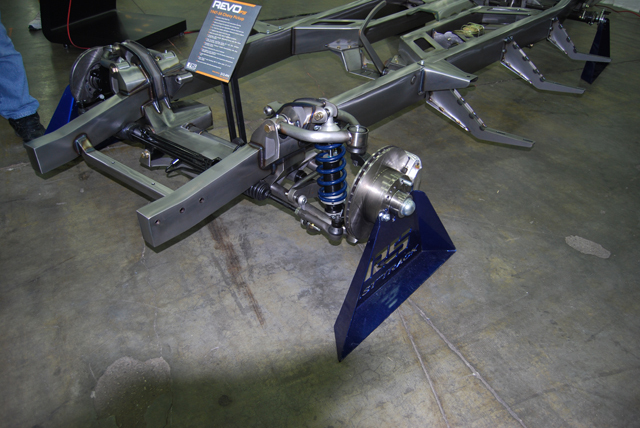 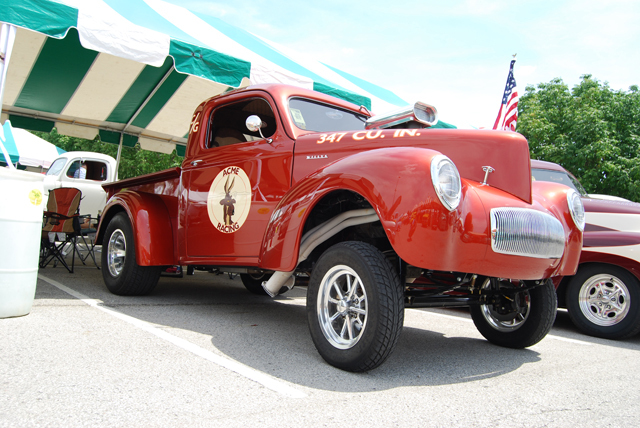 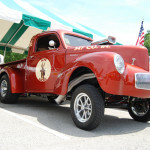 1941 Willy’s – Gasser Style! 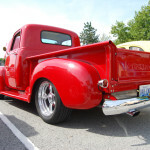 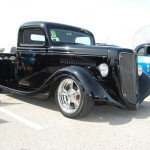 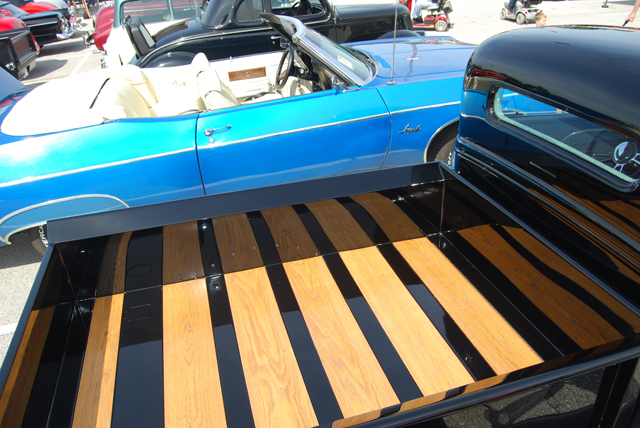 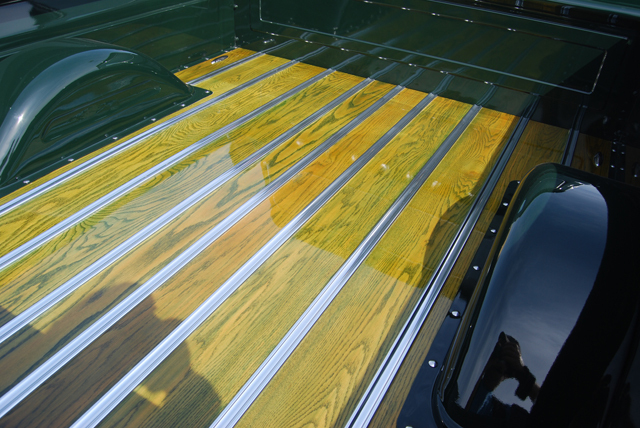 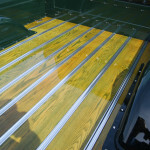 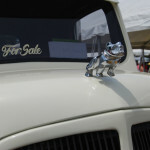 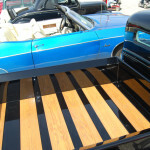 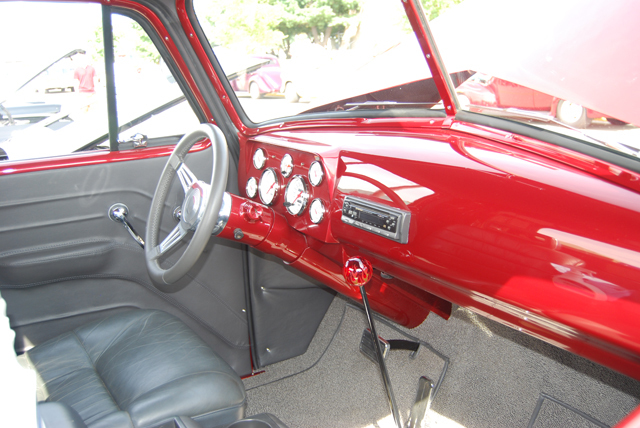 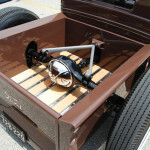 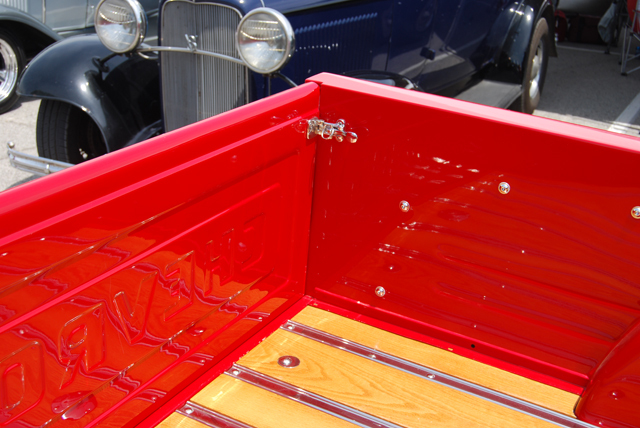 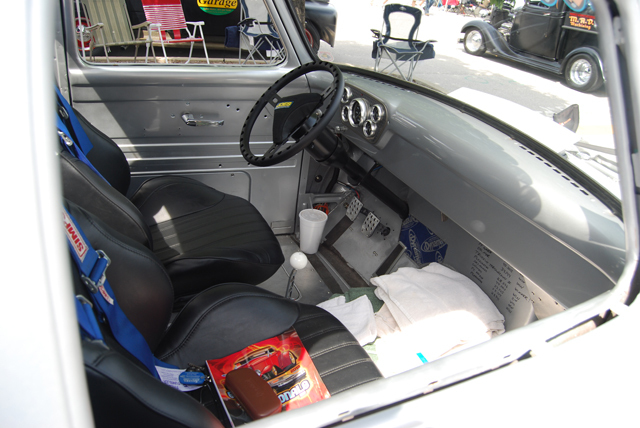 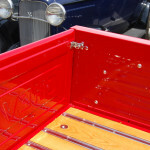 1938 Ford Truck – Custom fit running boards! 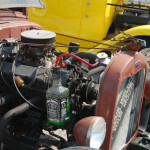 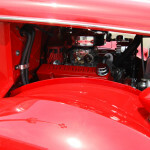 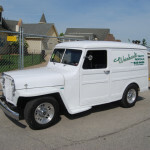 1935 International – Check out that overflow container! 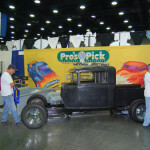 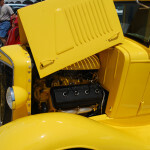 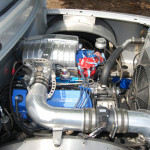 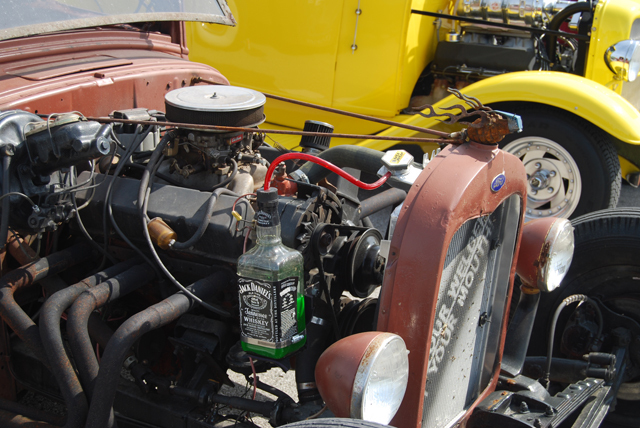 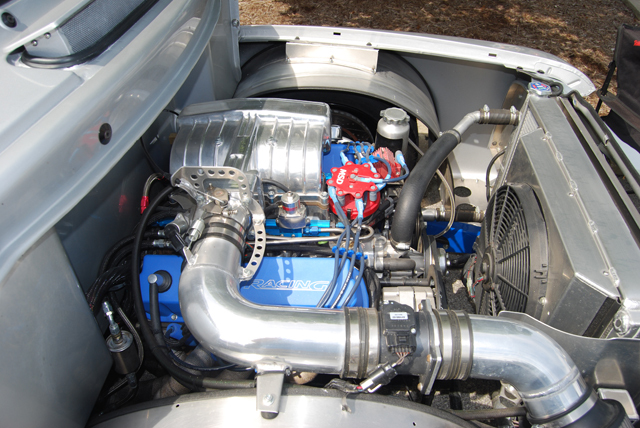 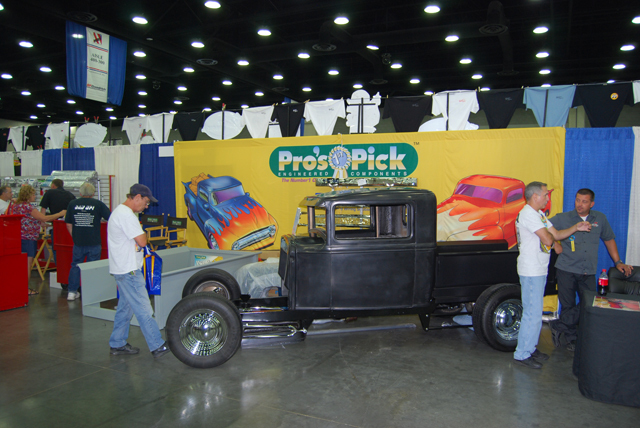 1934 ford truck – Of course it’s BLOWN! 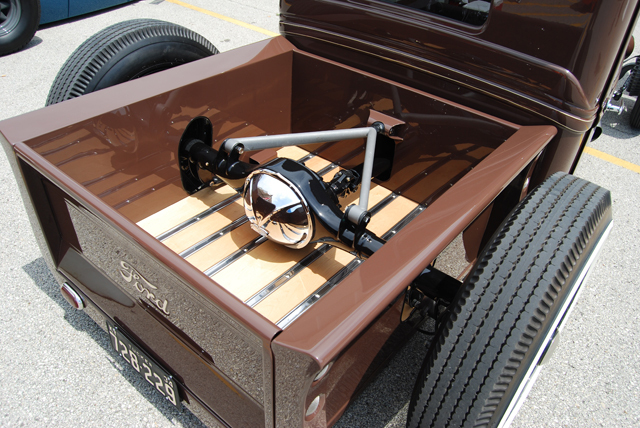 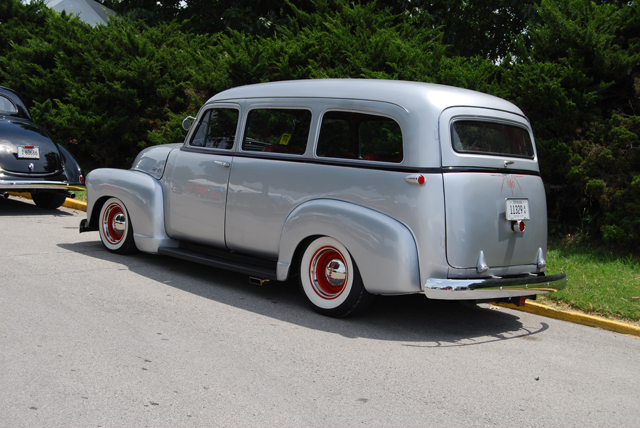 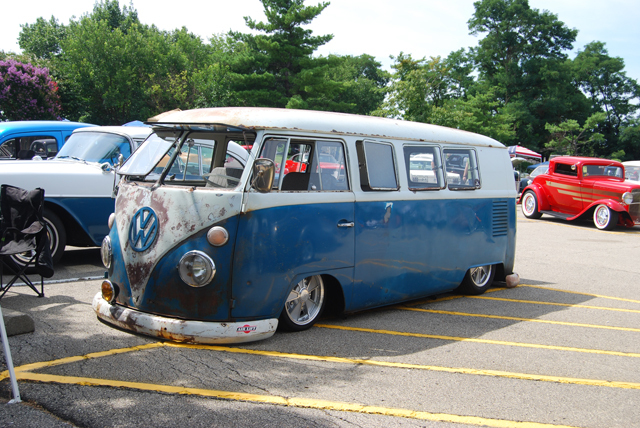 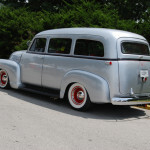 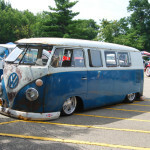 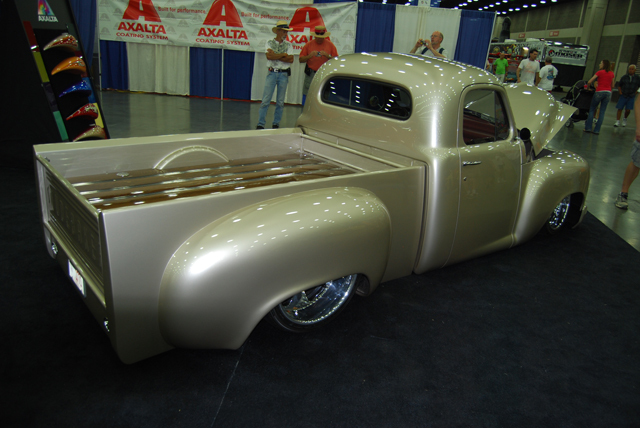 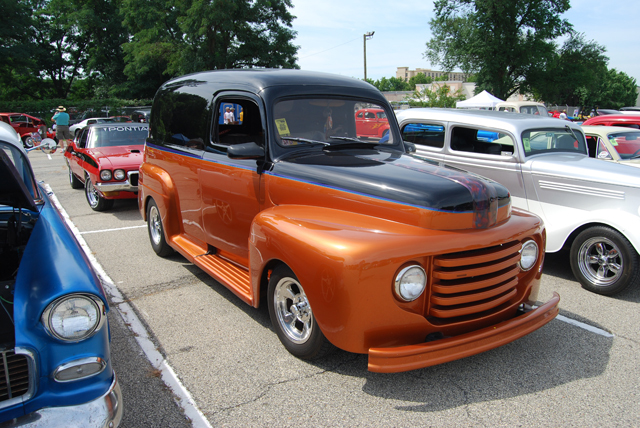 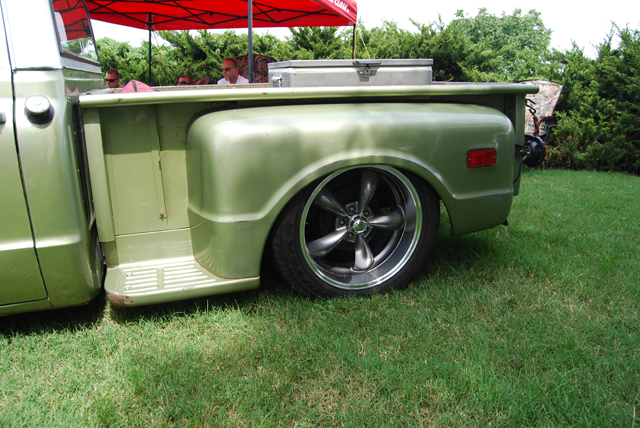 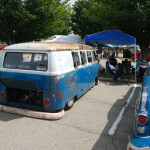 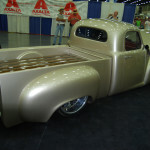 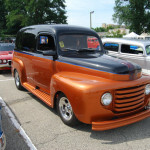 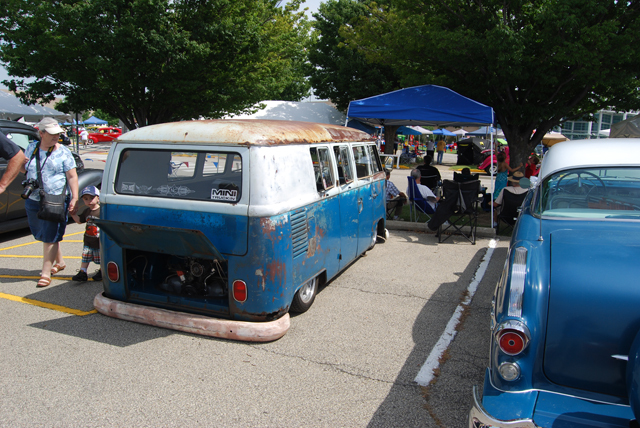 One Funky 34 Ford – Check out that bed floor below the rear end!